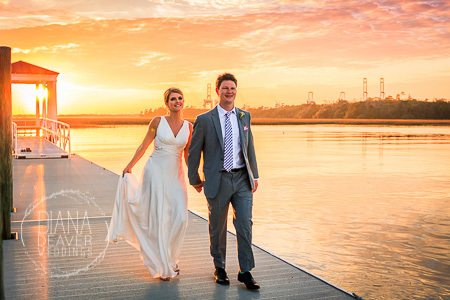 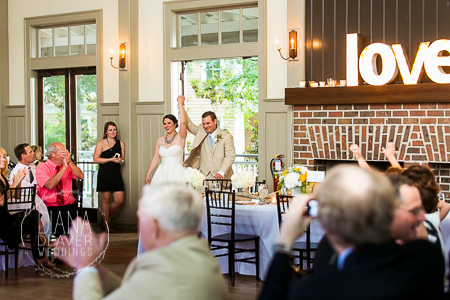 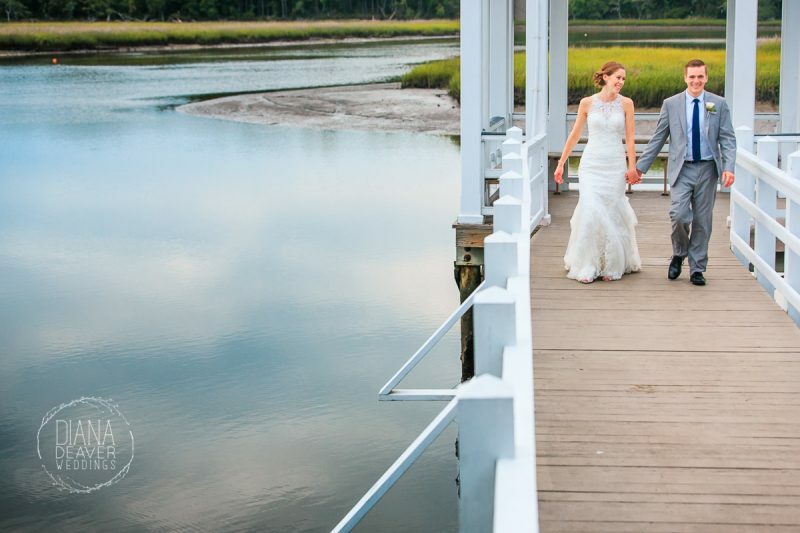 The Creek Club at I’ON is a charming and intimate wedding venue with a surprising variety of options for photos. 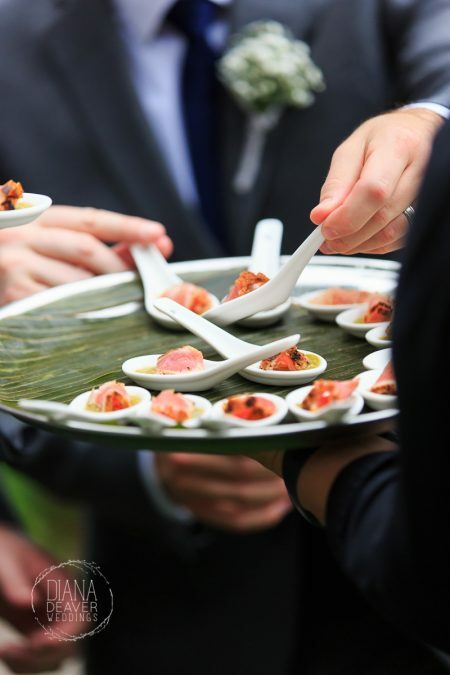 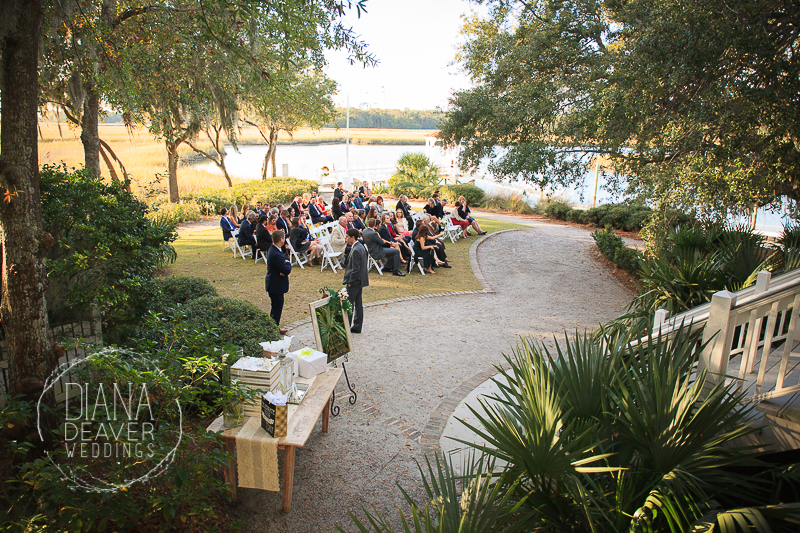 It’s on the water, it has an outdoor ceremony site and it offers in house catering. 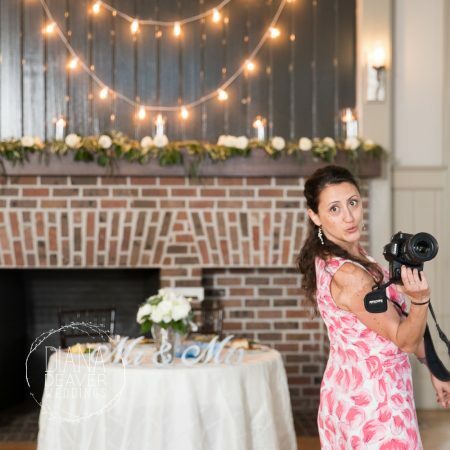 It’s a no nonsense, everything you need in one place kind of venue and photographically speaking my team and I love it. 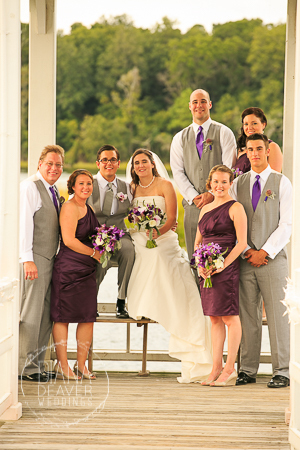 We have photographed more than 15 weddings there and every time it seems the photos get better and better. 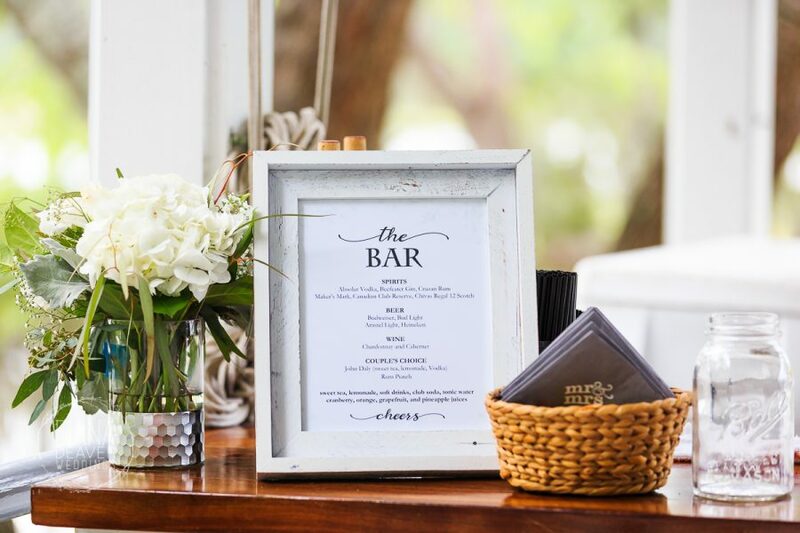 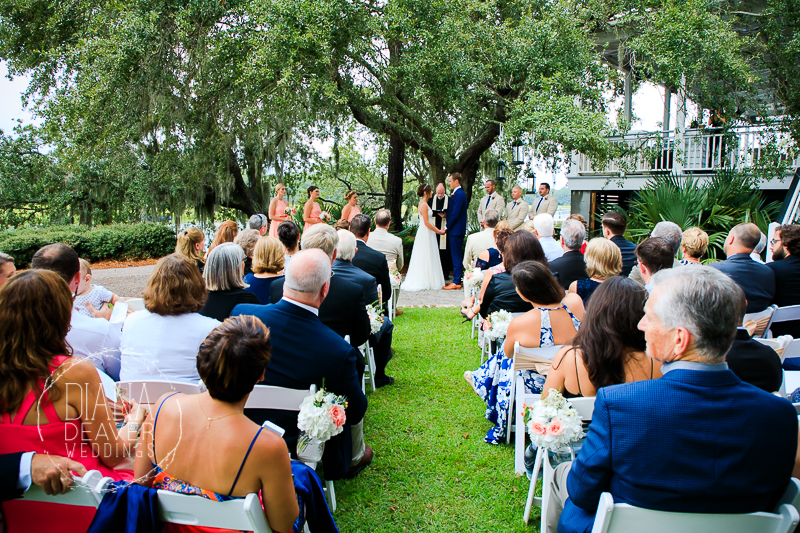 If you’ve already decided that this is the place you’re getting married then you probably are wondering what options there are for getting ready. 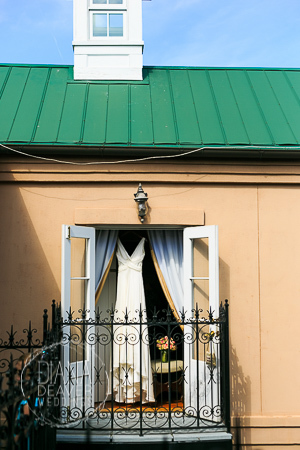 There is a Bed and Breakfast at the main entrance into the ION subdivision: The Inn At ION . 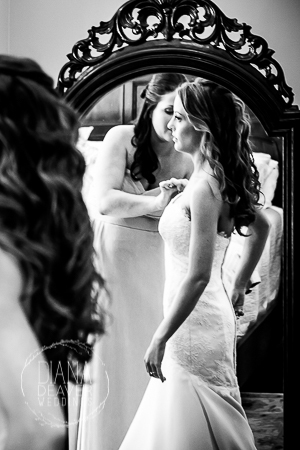 The interior of the rooms available here provide an elegant and classic look for the bride’s getting ready photos. 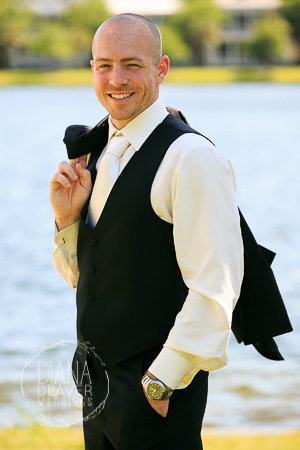 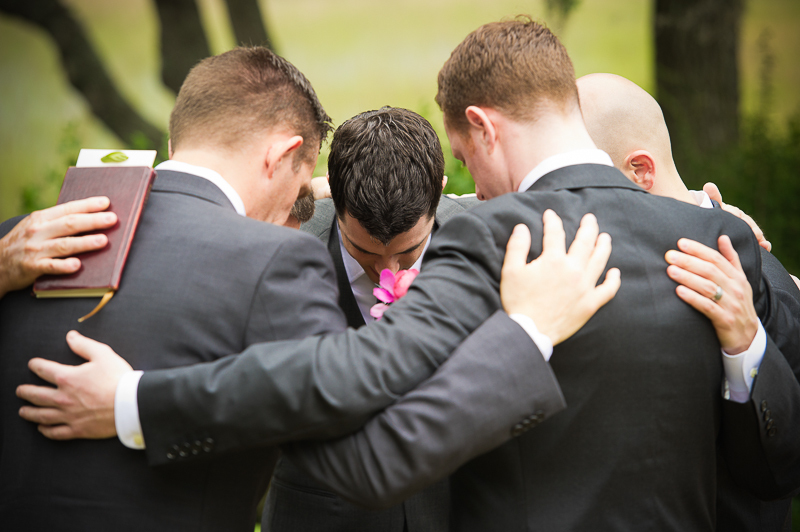 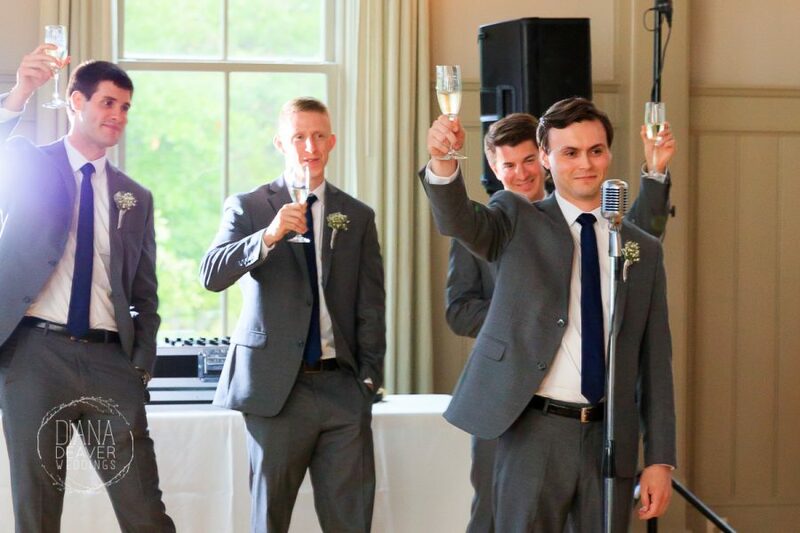 The groom and groomsmen can get ready at the Club itself (there is a small changing room available and of course the main event room). 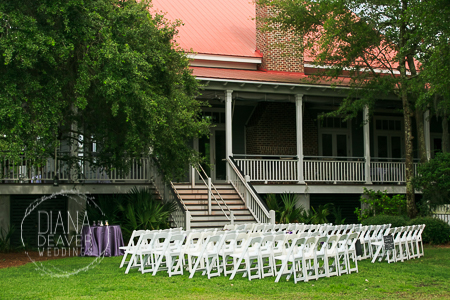 The venue main building and grounds can easily be customized and modified to match your vision for your wedding. 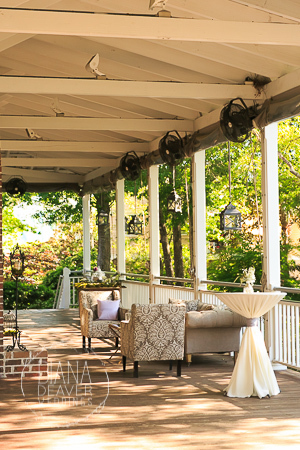 If you have a larger guest count you can use the porch and patio for making additional tables available. 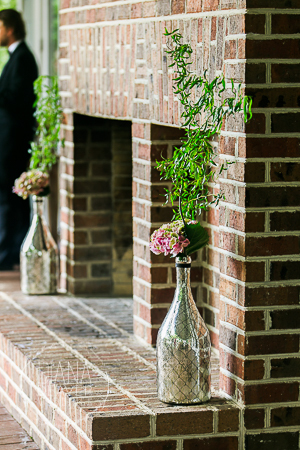 Decorations and enhancement can make a big difference photographically speaking. 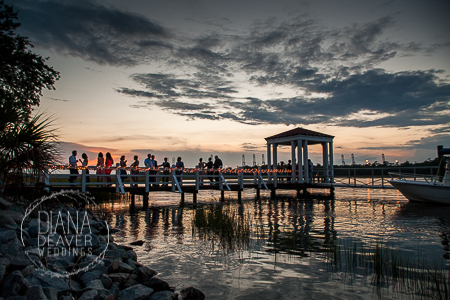 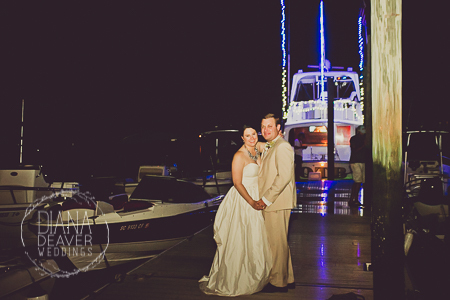 We recommend adding strings of lights on the porch and dock for the evening of the reception. 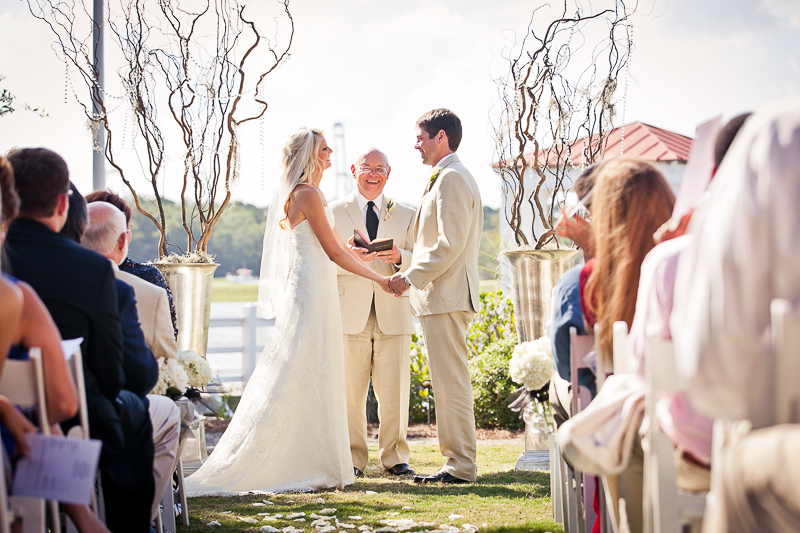 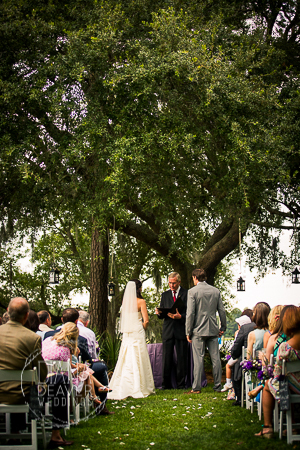 The ceremony site at the Creek Club is also customizable. 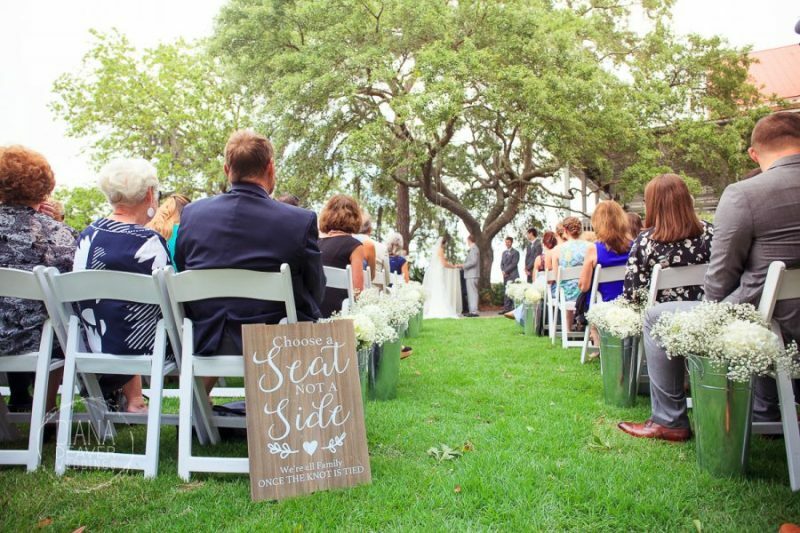 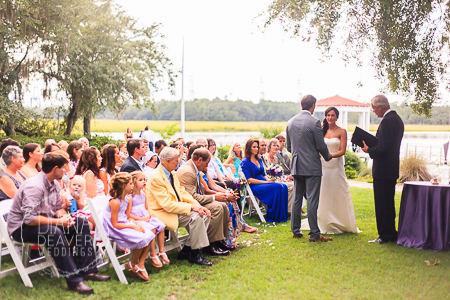 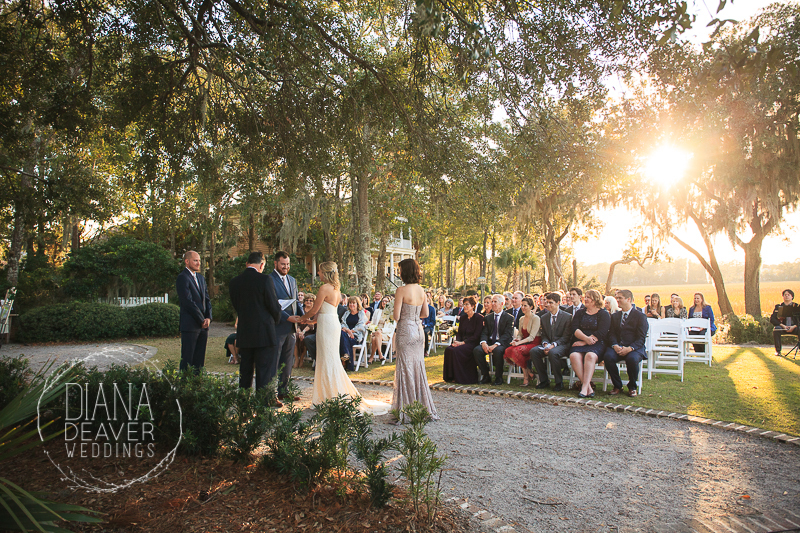 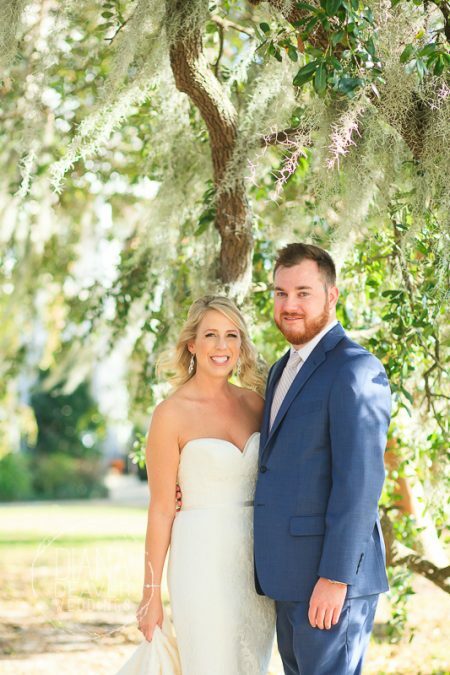 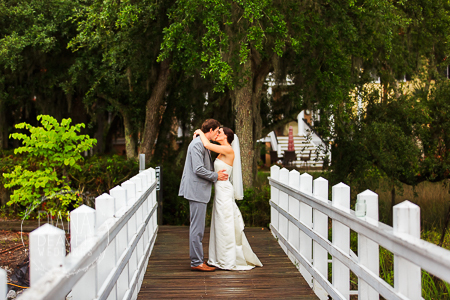 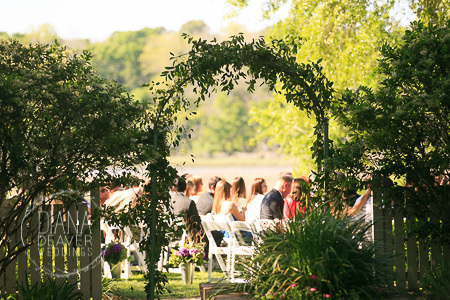 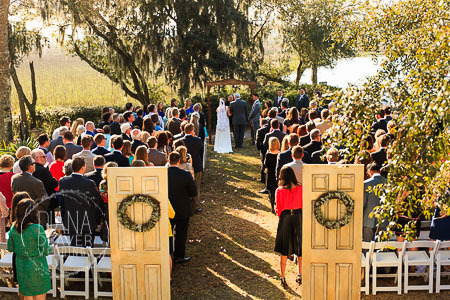 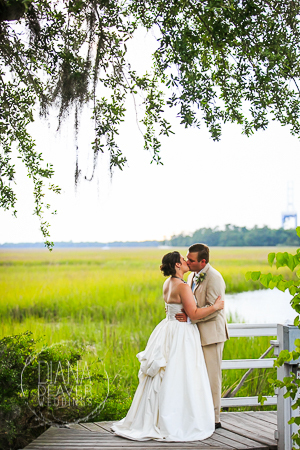 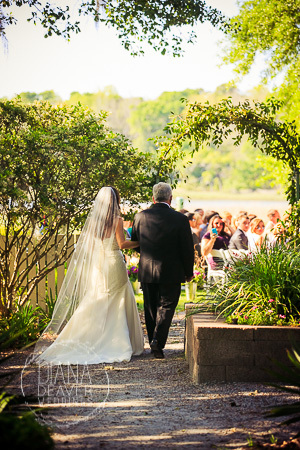 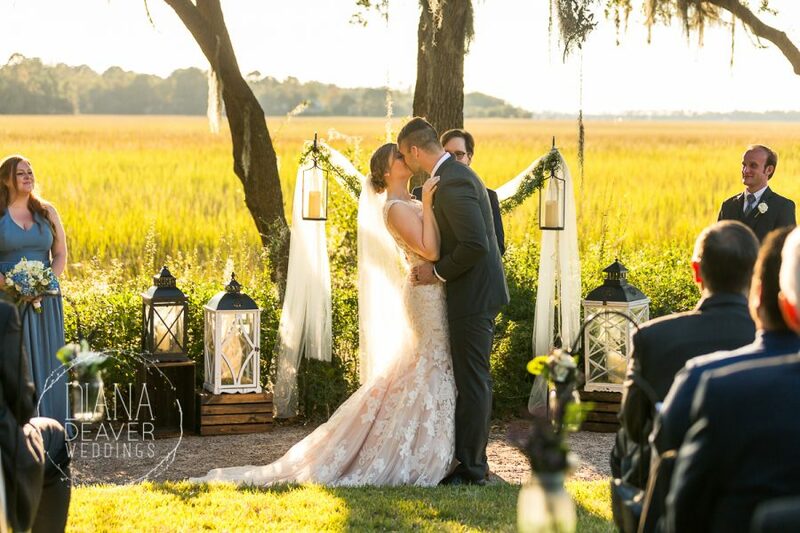 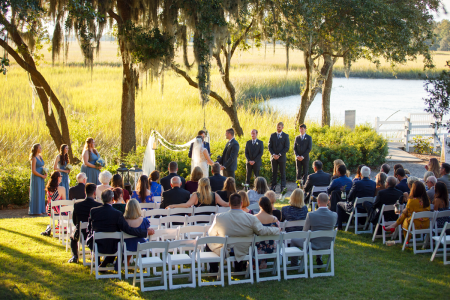 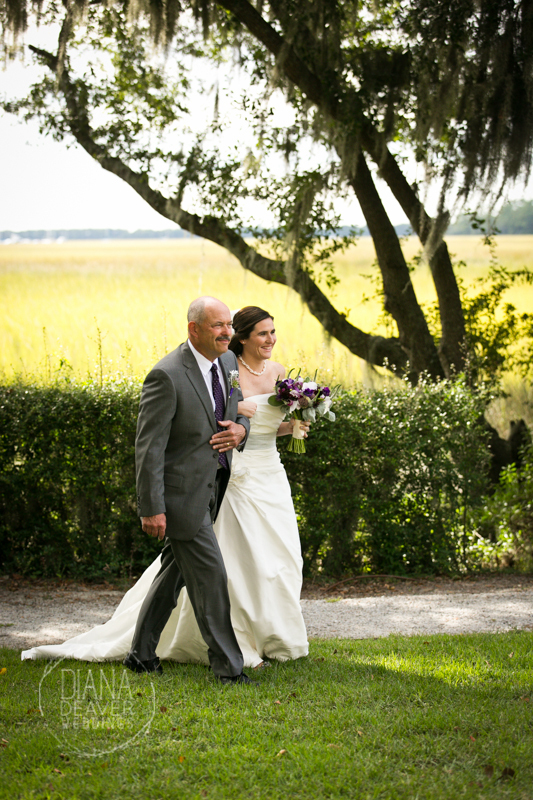 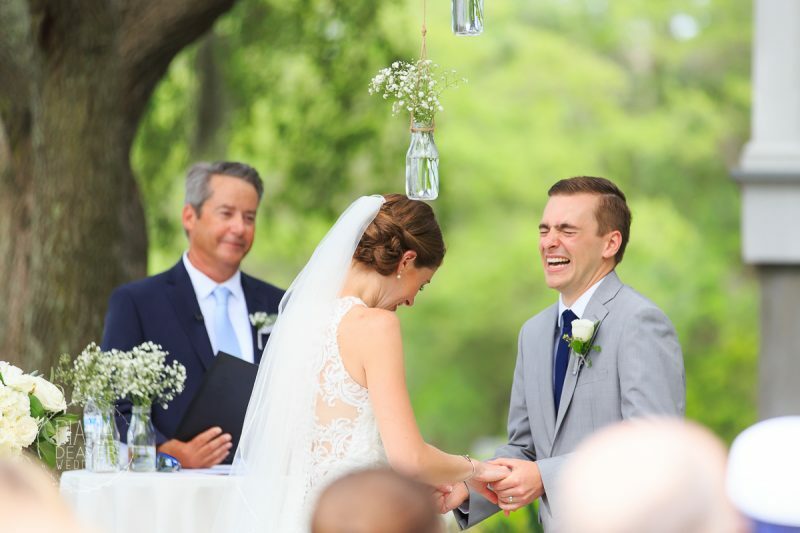 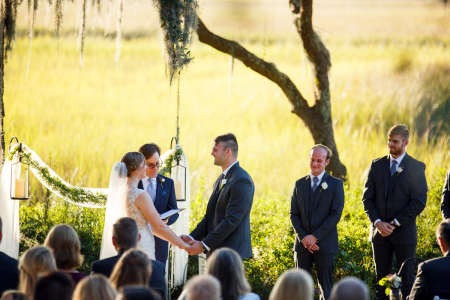 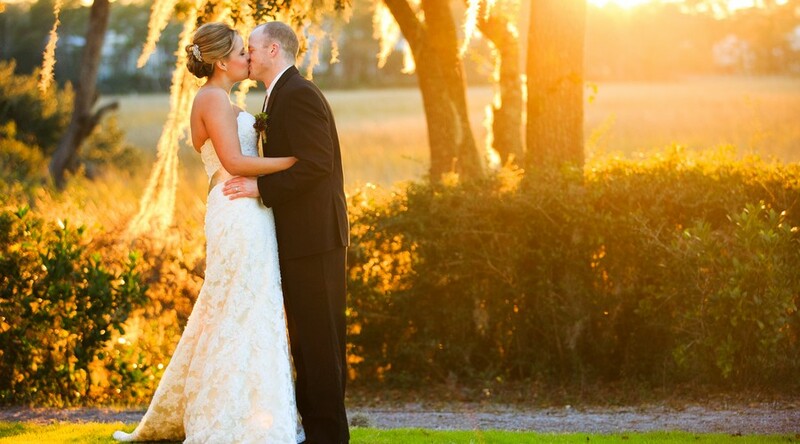 Depending on the direction of the sun you have two options for the ceremony layout: facing the marsh or facing the large liveoak tree. 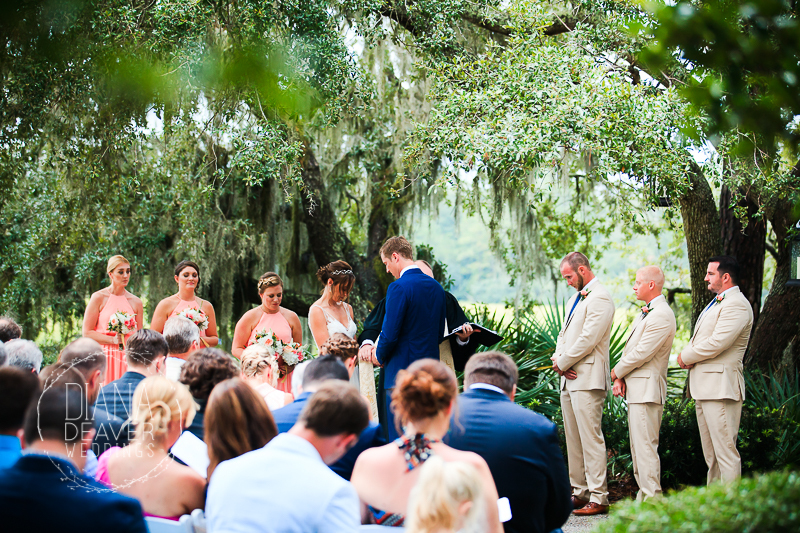 When making this decision I would recommend keeping in mind the time of the day the ceremony is taking place, the time the sun will set and the direction of the sunlight. 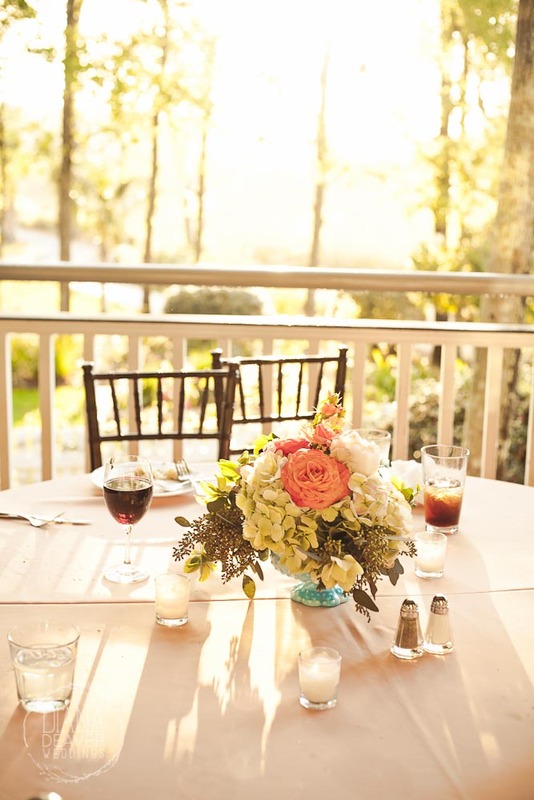 The goal is to offer your guests the best view, without being blinded by too strong of light. 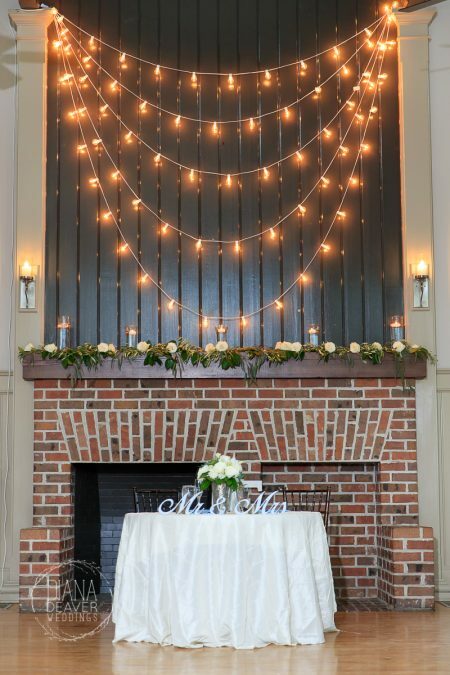 I have offered visual examples of ceremony set-ups below. 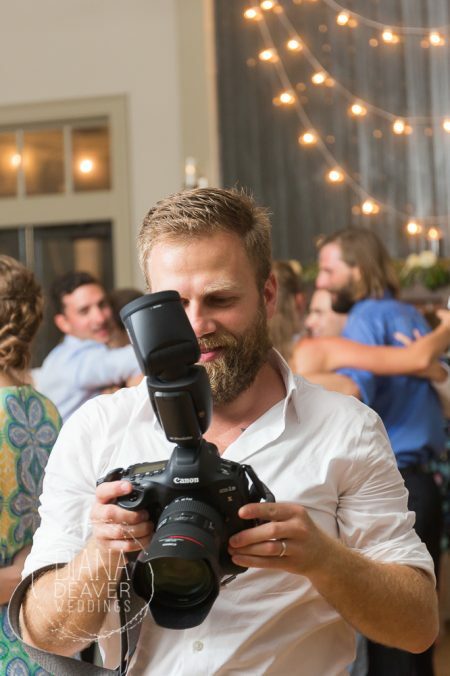 Also, feel free to call or email me if you’d like my input on this. 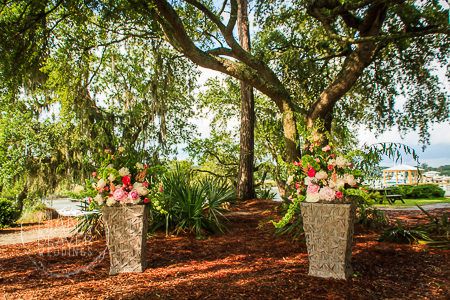 In addition, you may enhance the natural setting with additional decor elements of color, shape and personal meaning. 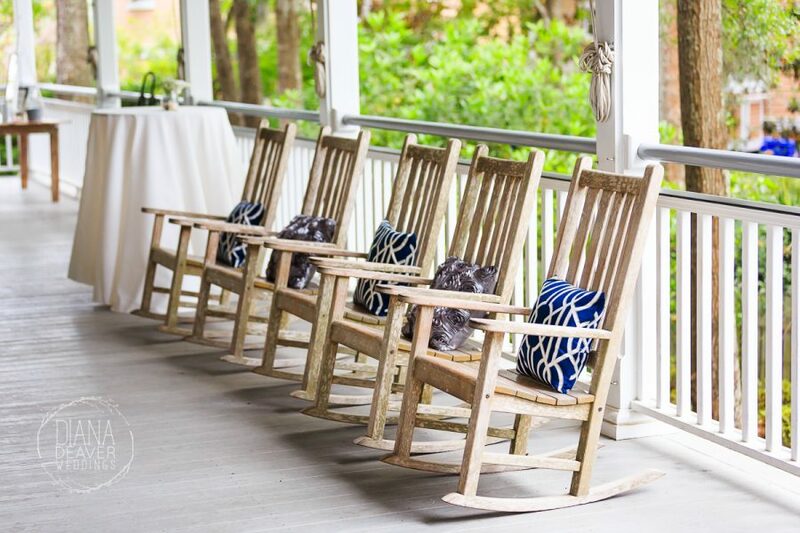 The Creek Club at I’ON has to option to host ceremonies on the patio or porch in case of rain. 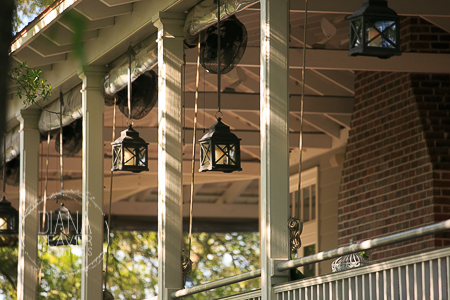 The clear porch shutters can be rolled down to protect from windy rain. 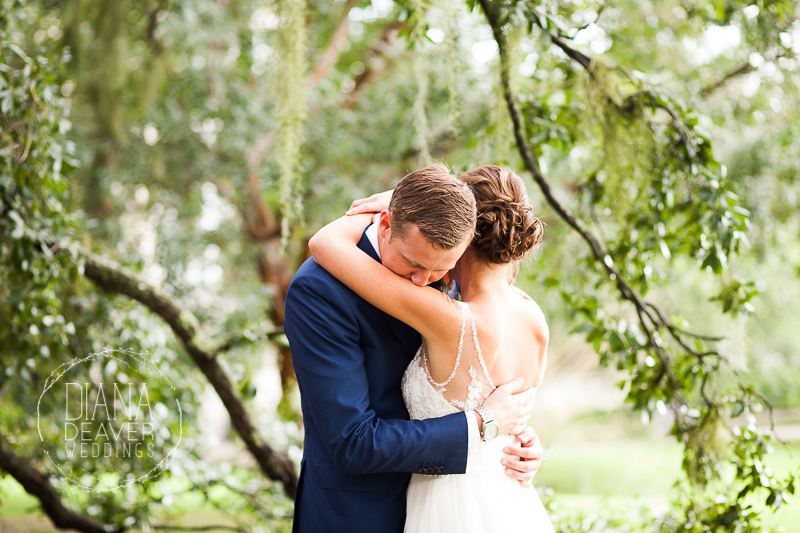 This is it: we call it the 15 minutes of love. 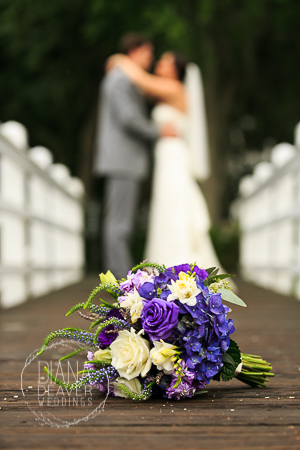 It’s a time for just the two of you and the love and affection you have for each other. 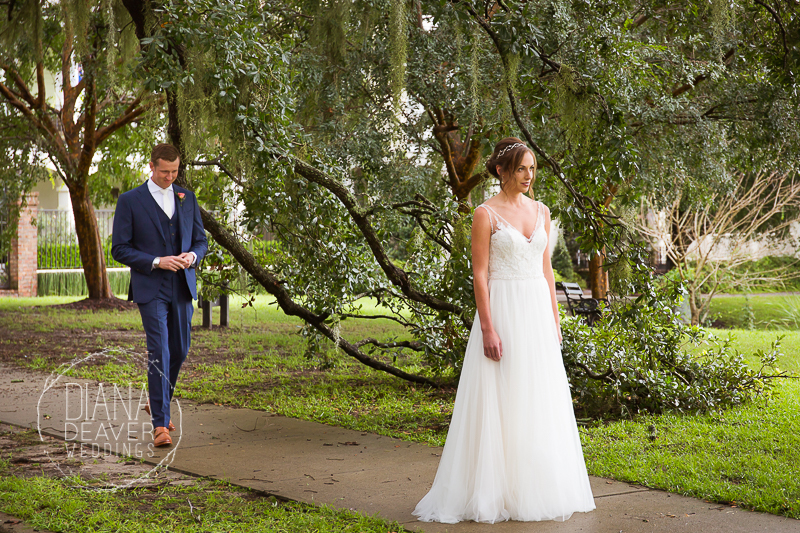 Here is where we play with light, nature, shapes, and colors to create memorable photos that will last for the rest of your lives. 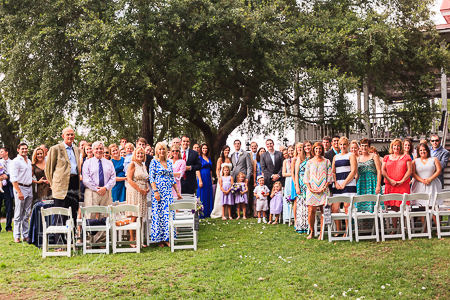 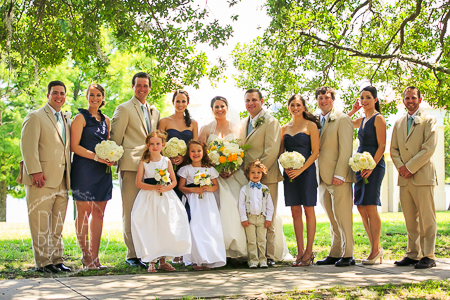 The lawn next to the club is the best place to take after the ceremony formal photos with larger groups. 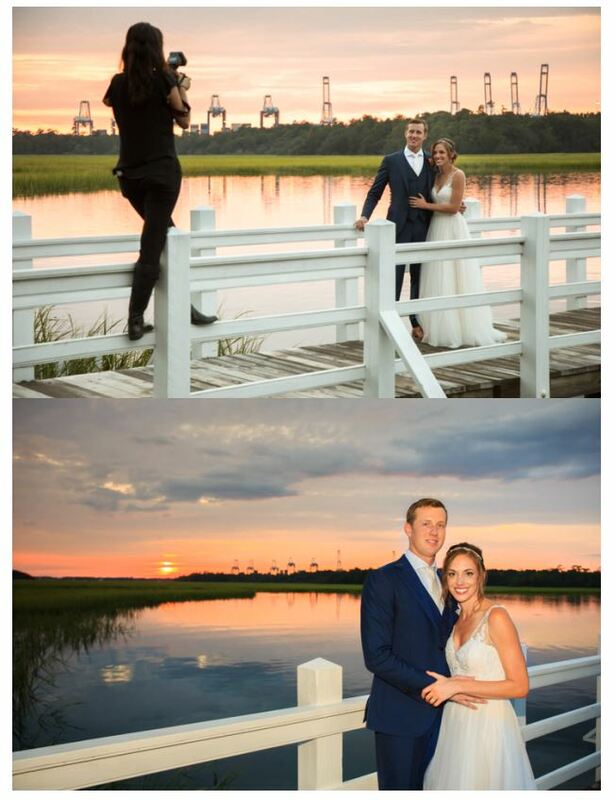 If you are planning on having some pre-ceremony photos taken as well, there are several lovely locations ideal for such purposes right inside of the I’ON community. 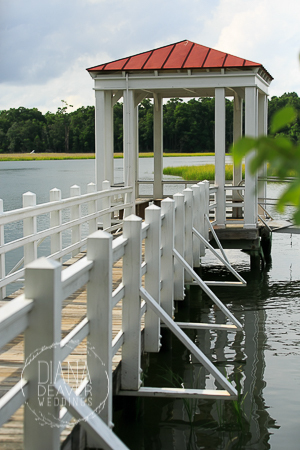 Some of these locations provide lovely shade for the “too sunny not to squint” afternoons as well as a water backdrop. 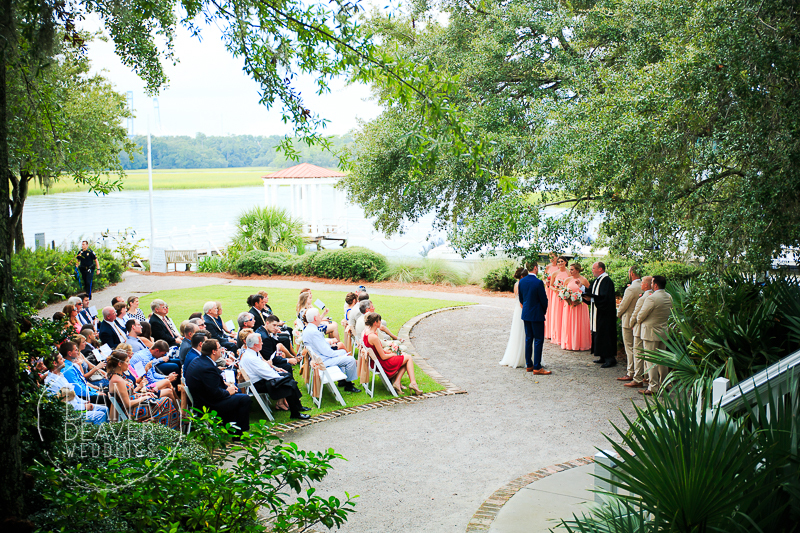 Many couples choose to have a few moments by themselves before the ceremony. 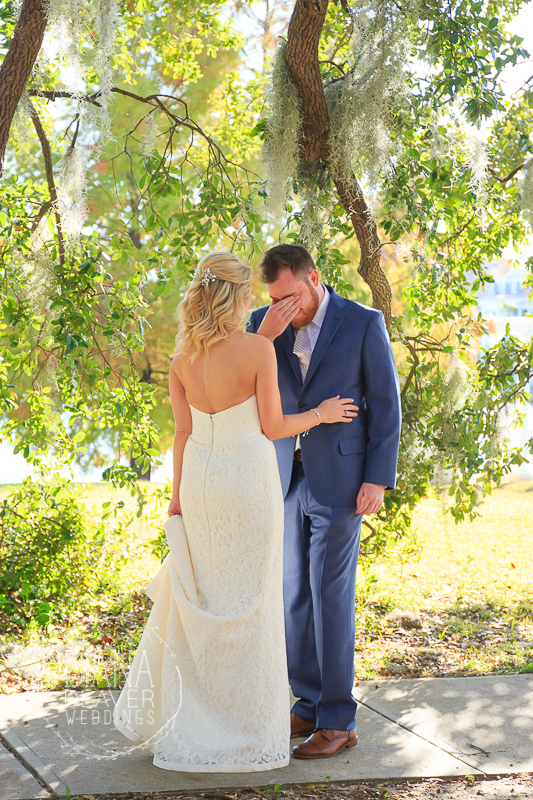 It’s a super sweet emotional and romantic moment without the watchful eyes of friends and family. 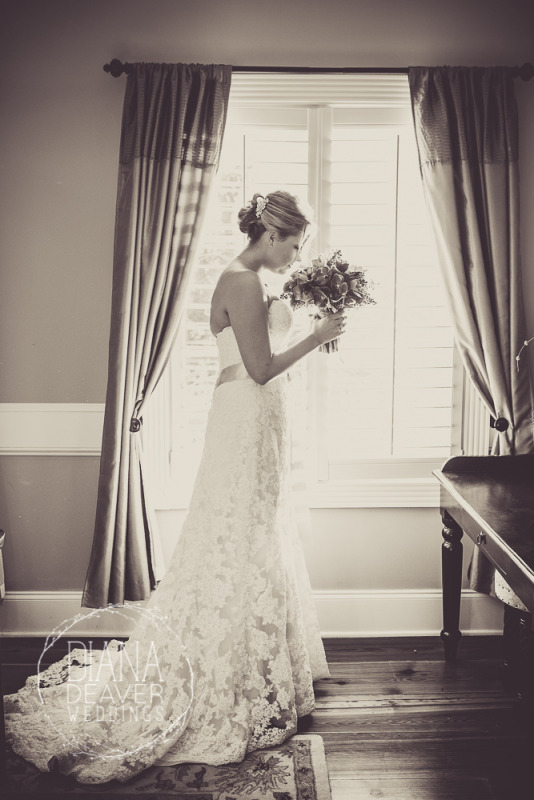 Click here to see my blog post with the pros and cons of having a first look. 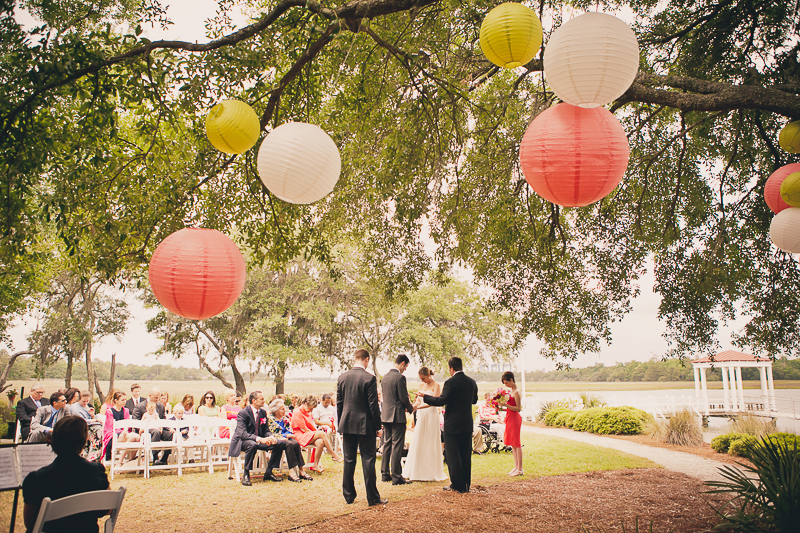 The Amphitheater inside of the ION subdivision is a perfect location for this. 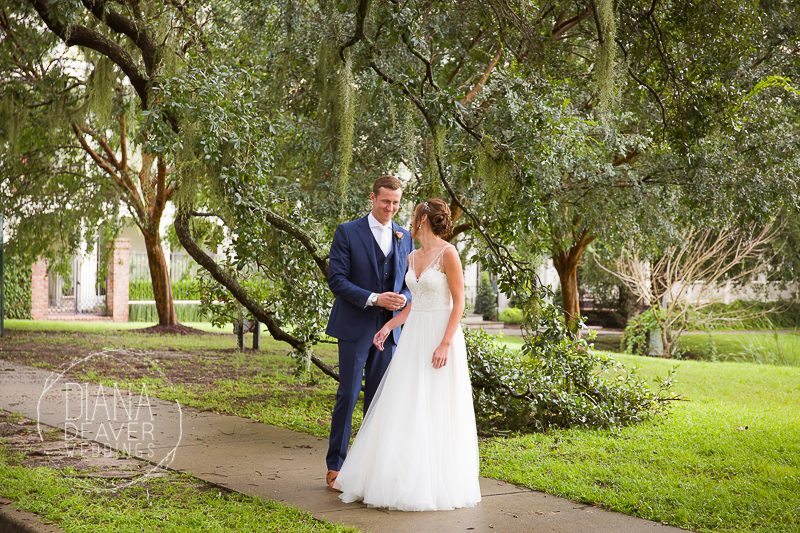 But I won’t share all my secrets 🙂 I’ll just share the photos. 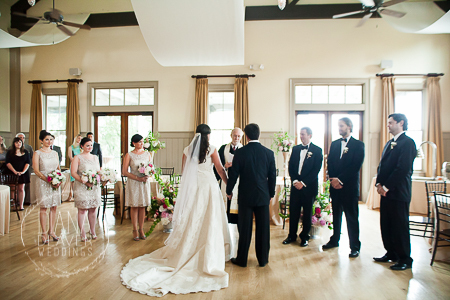 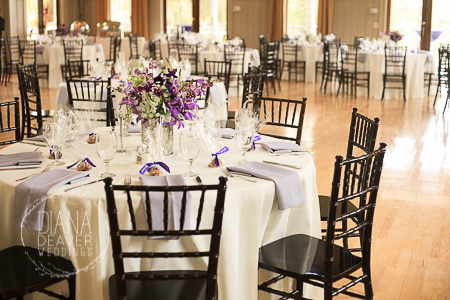 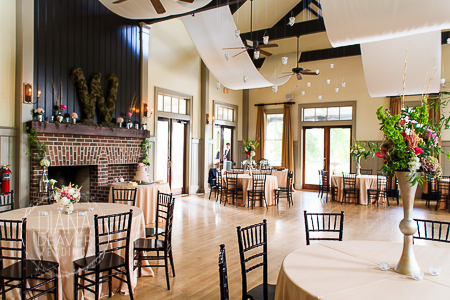 The reception area at the Creek Club is perfect for a party. 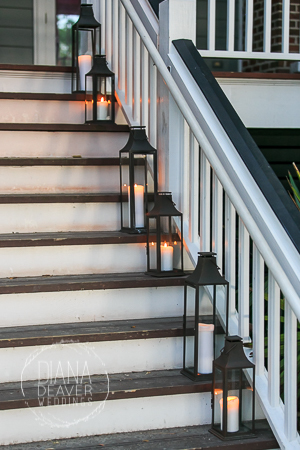 The inside is tall, roomy and easy to enhance with decorations. 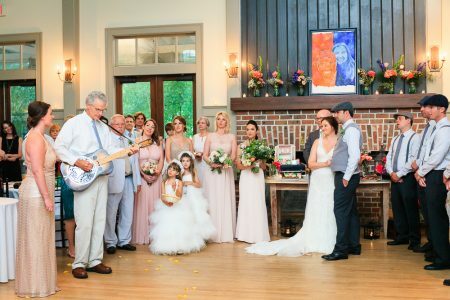 Usually, the bride and groom set up a special table in front of the fireplace and right across from them the DJ or band sets up their stage. 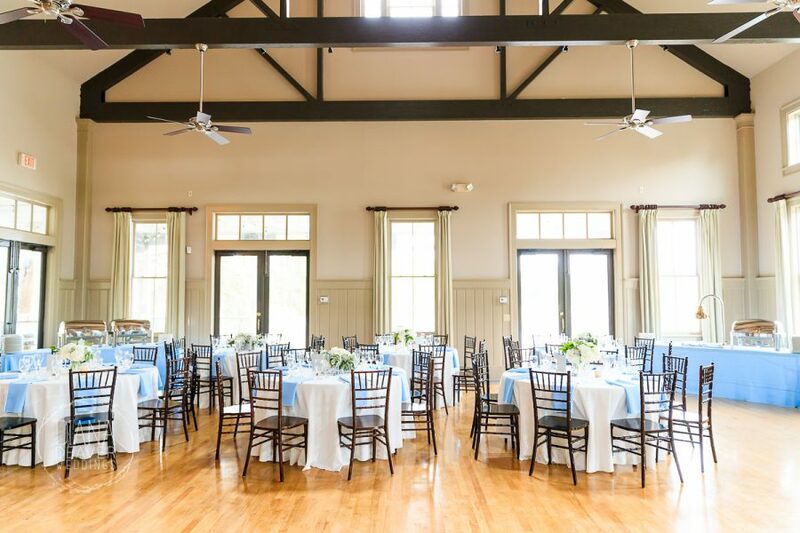 My favorite part about the setup for the ceremony is that people who want to mingle can go out on the patio/porch, grab a cocktail and talk, while inside the big room the party gets heated. 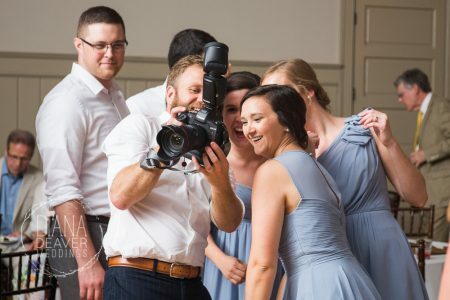 Yes, this is literally the most fun time of the wedding. 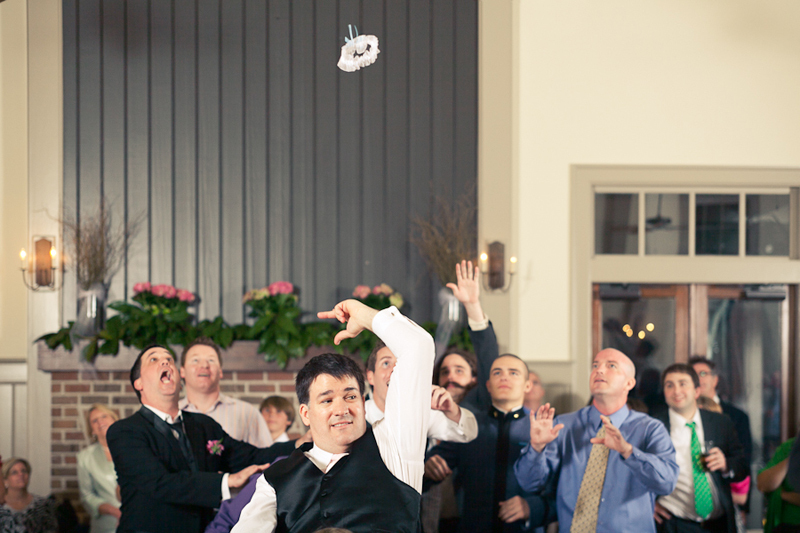 Shoes come off, ties come off, garters fly in the air and many treasured memories are made. 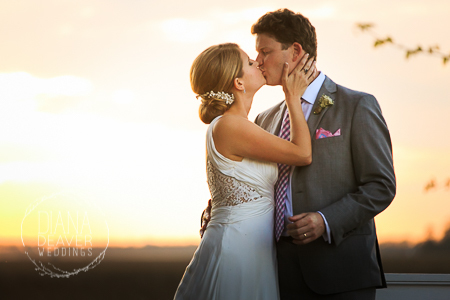 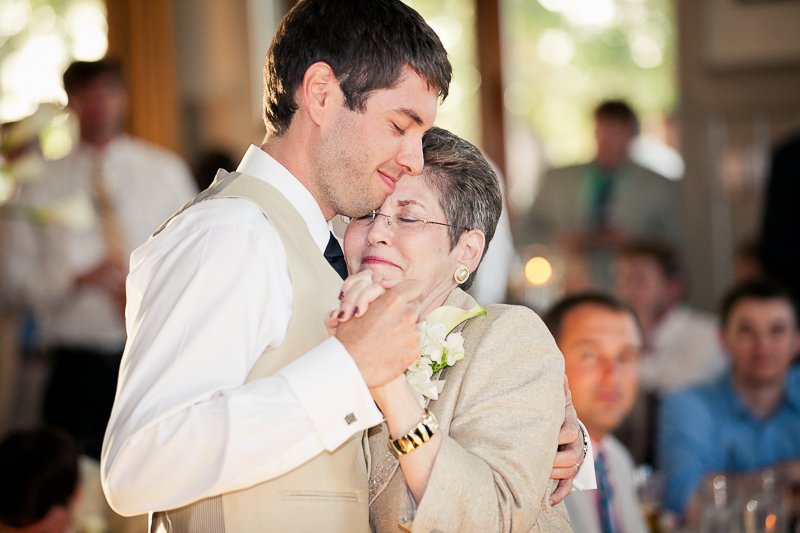 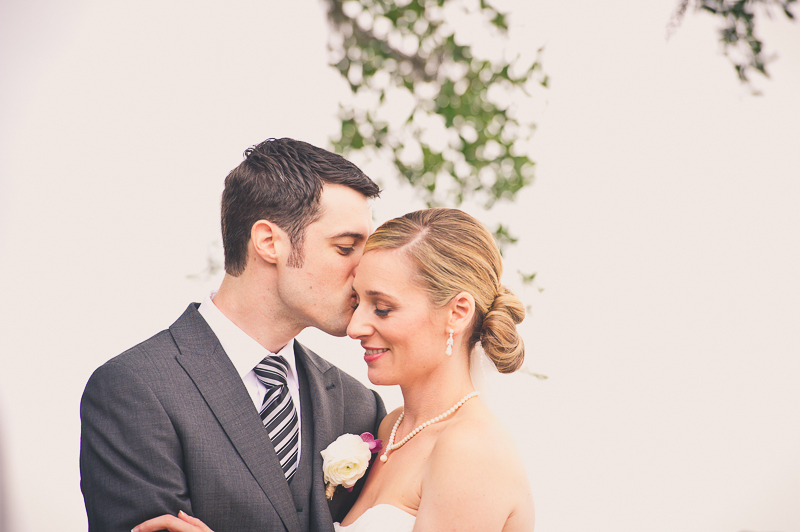 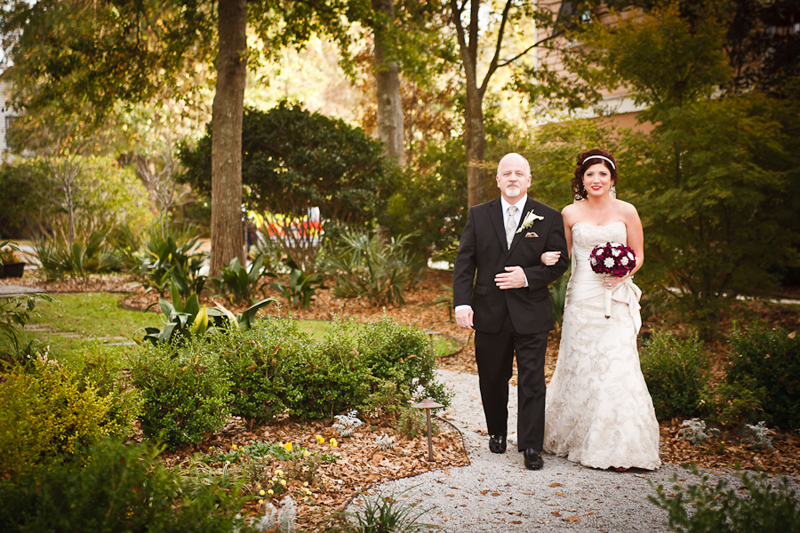 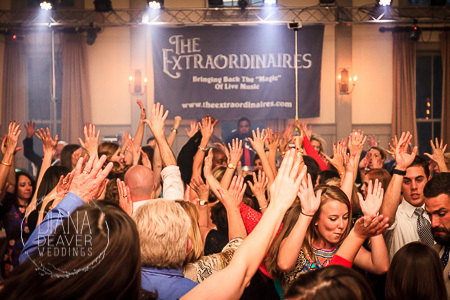 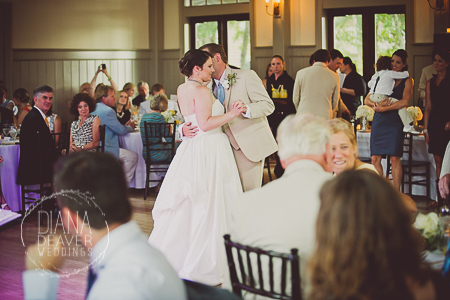 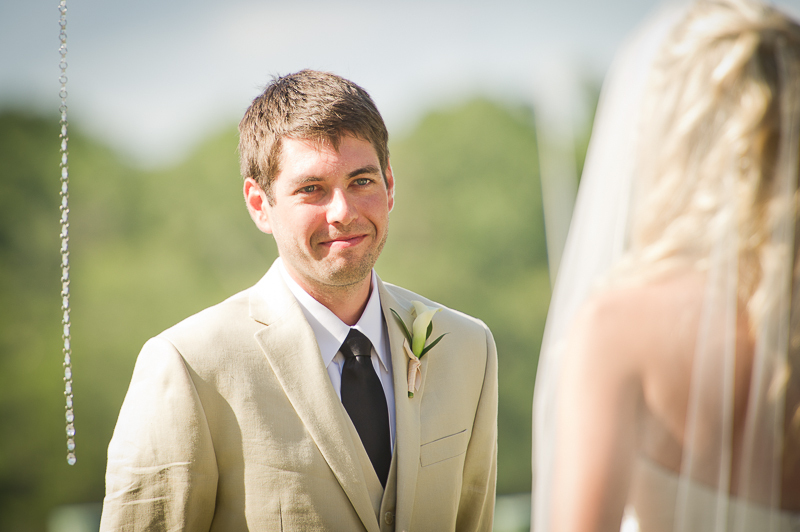 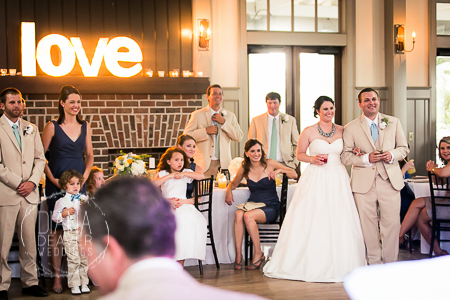 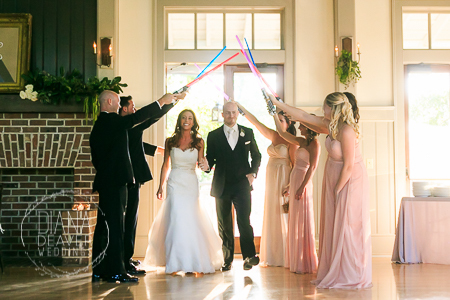 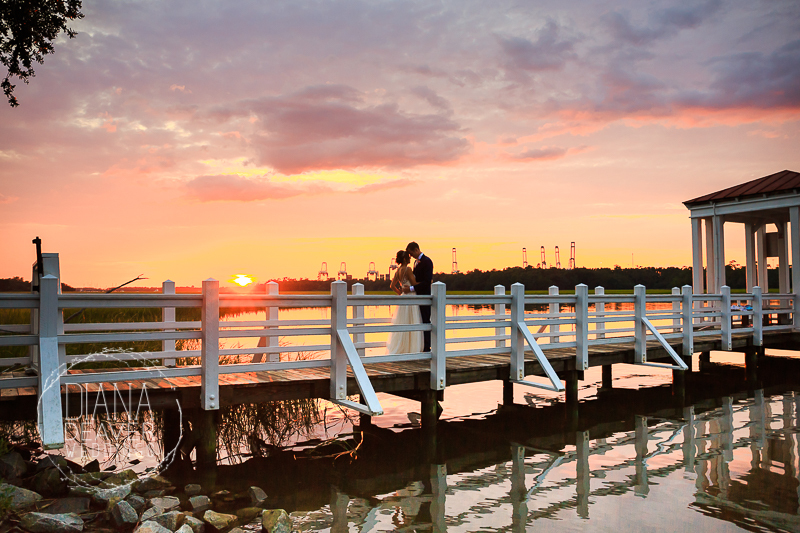 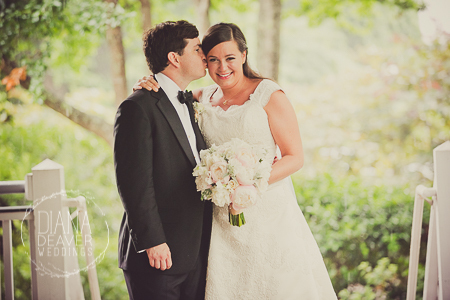 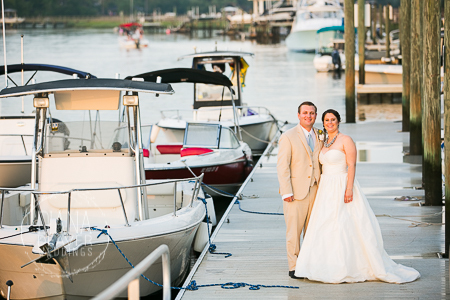 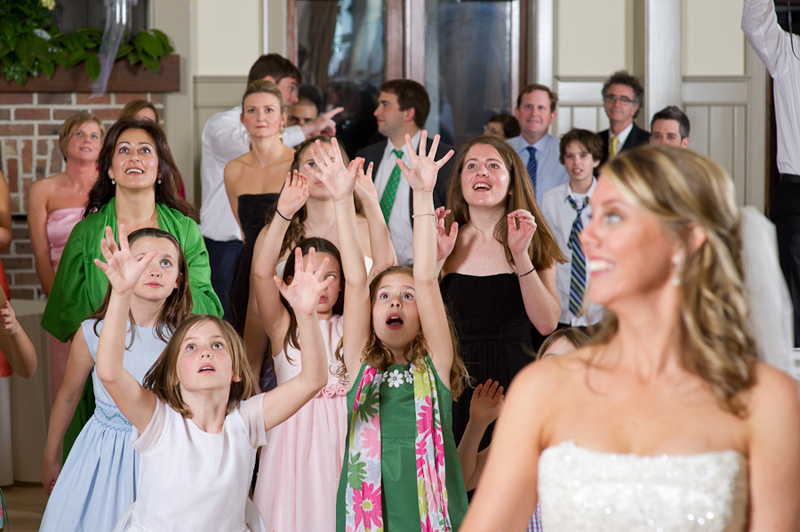 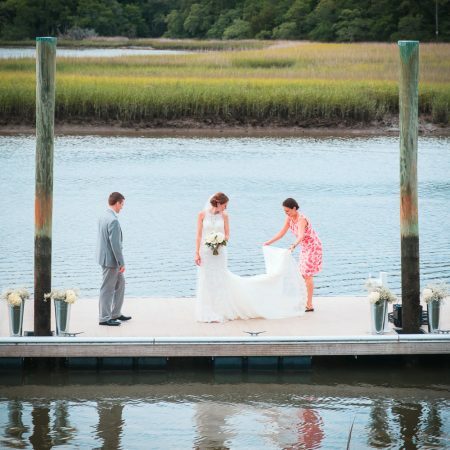 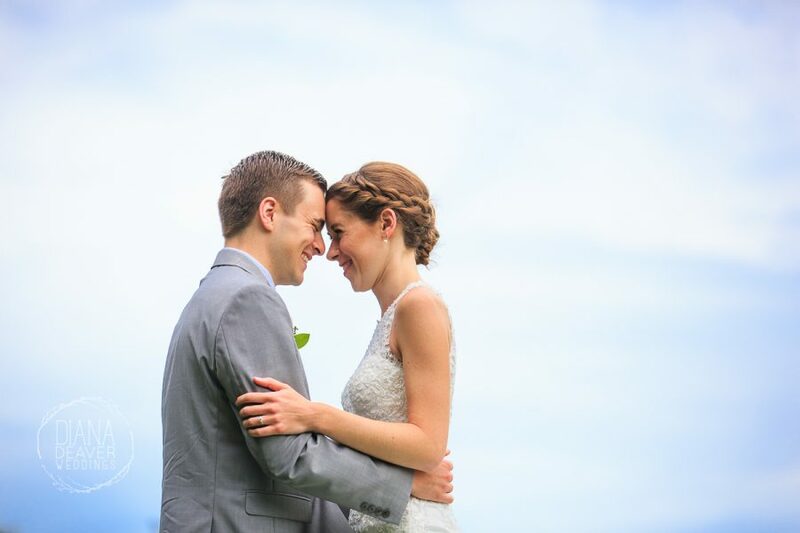 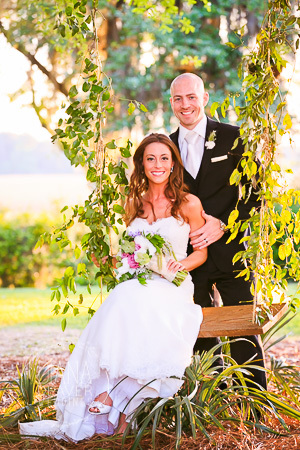 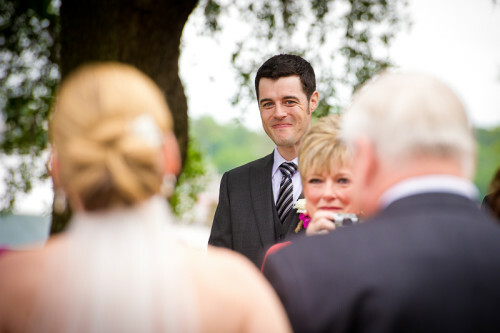 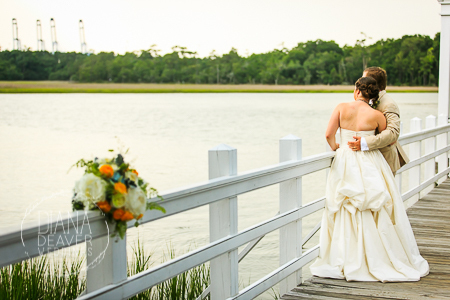 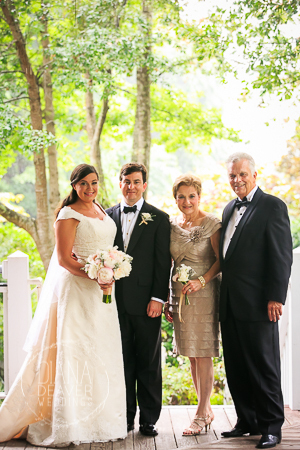 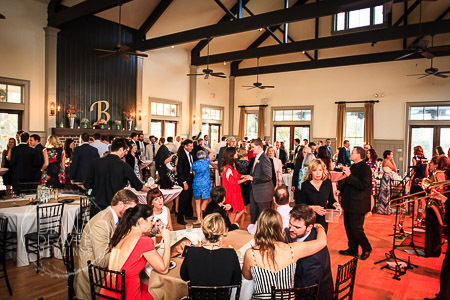 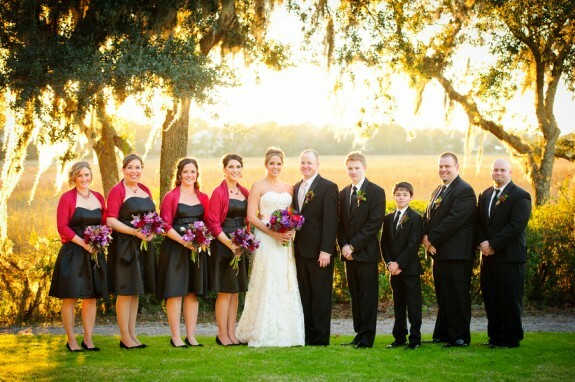 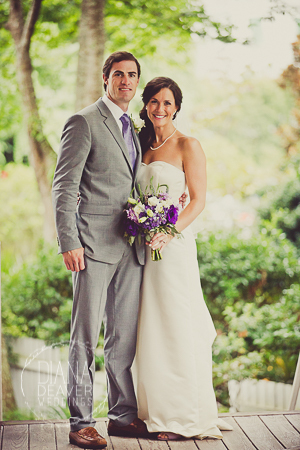 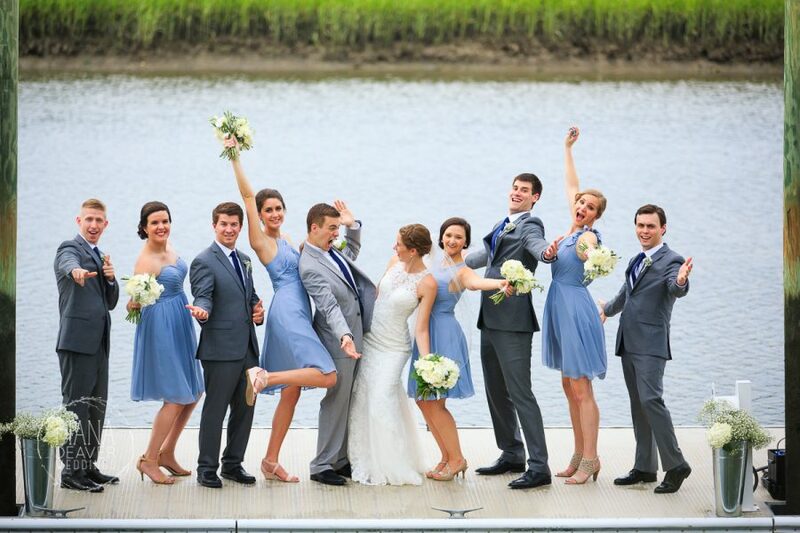 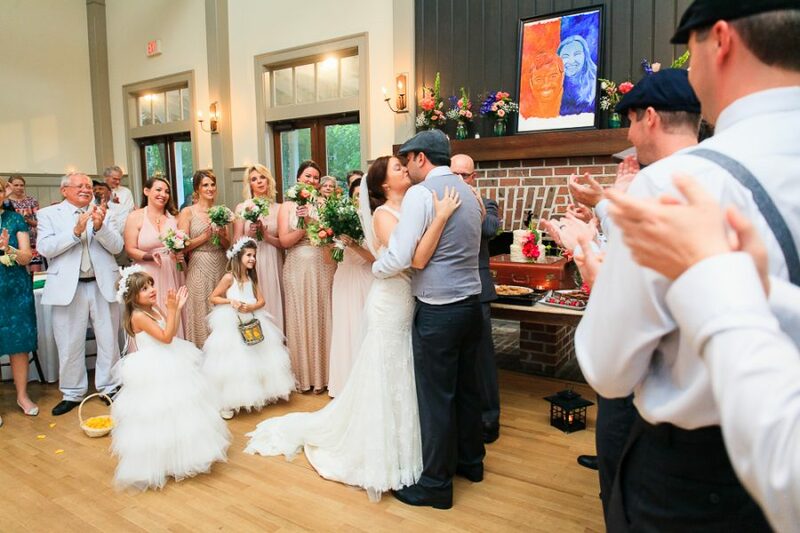 Enjoy these examples of wedding reception photos at the creek club. 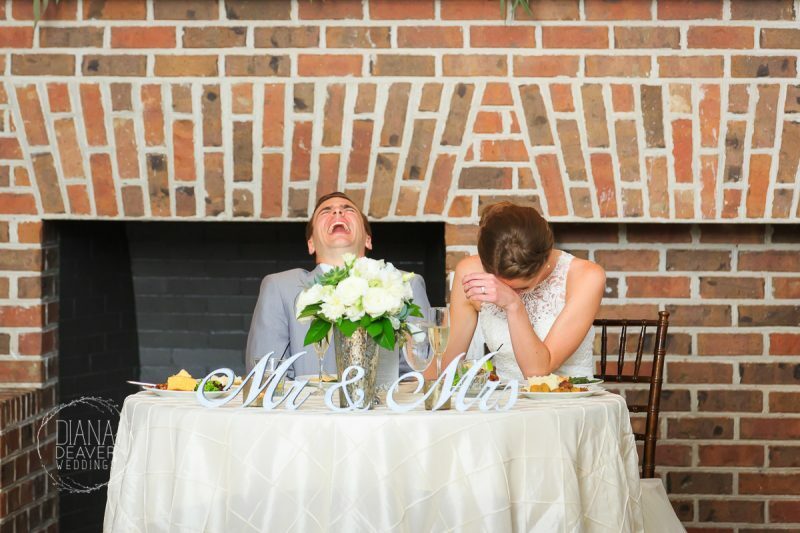 There’s so much fun packed in that last 10 minutes. 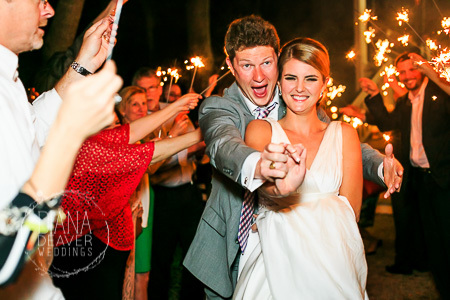 As the sparklers get lit and the guests start shouting for the bride and groom, the last photos of the day are taken. 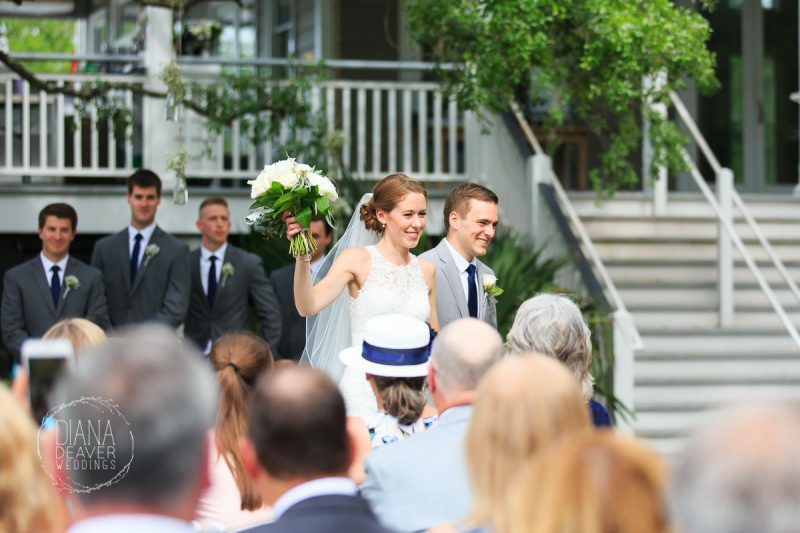 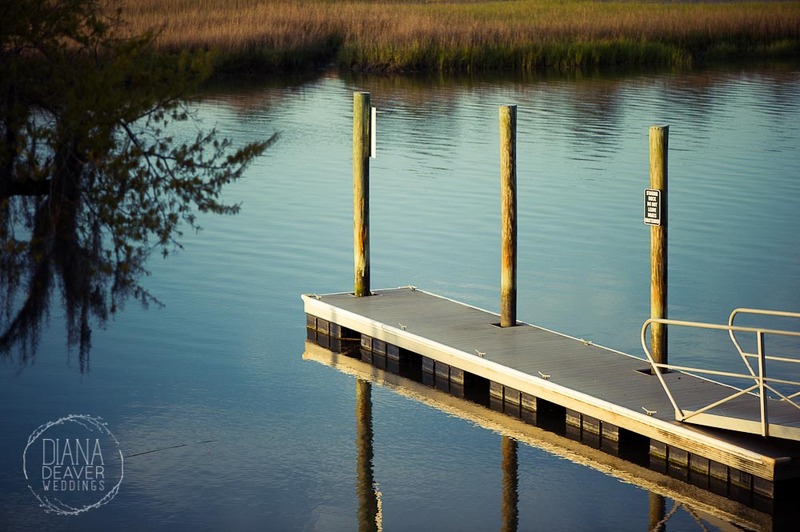 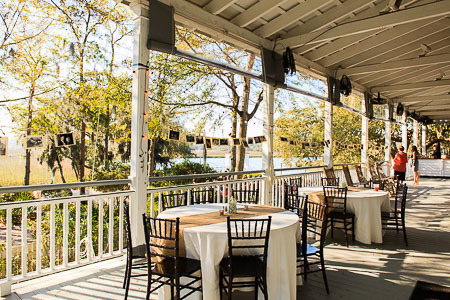 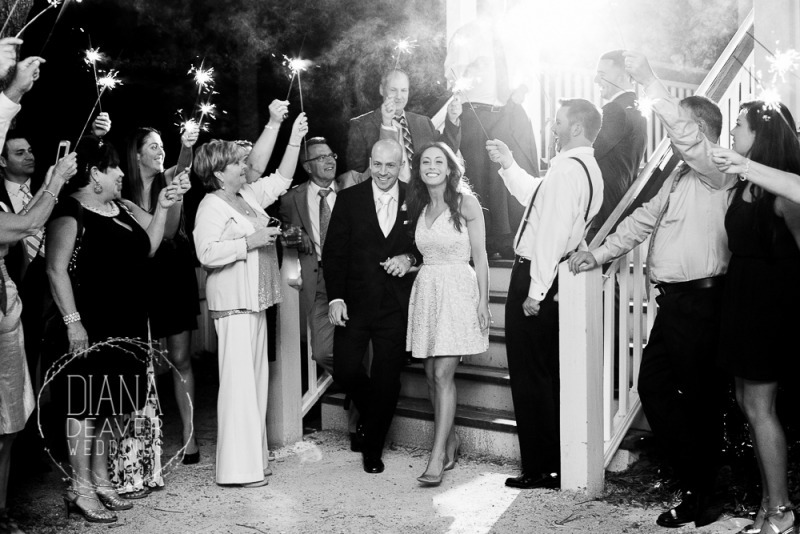 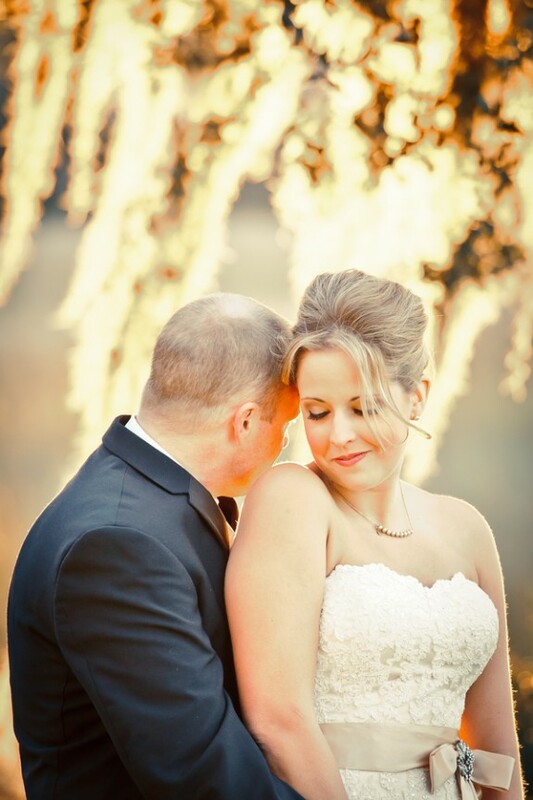 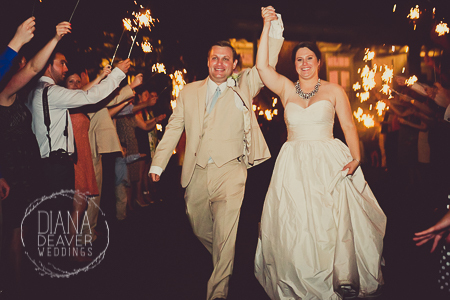 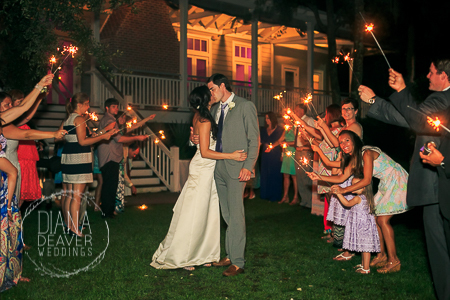 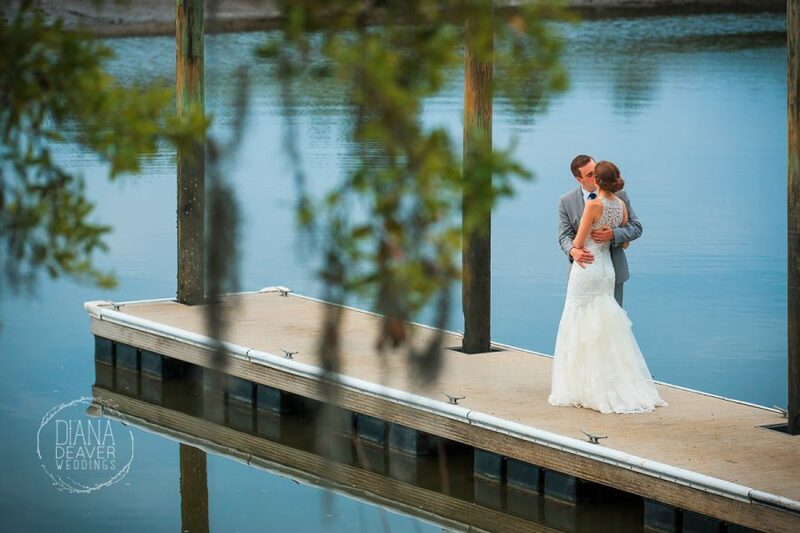 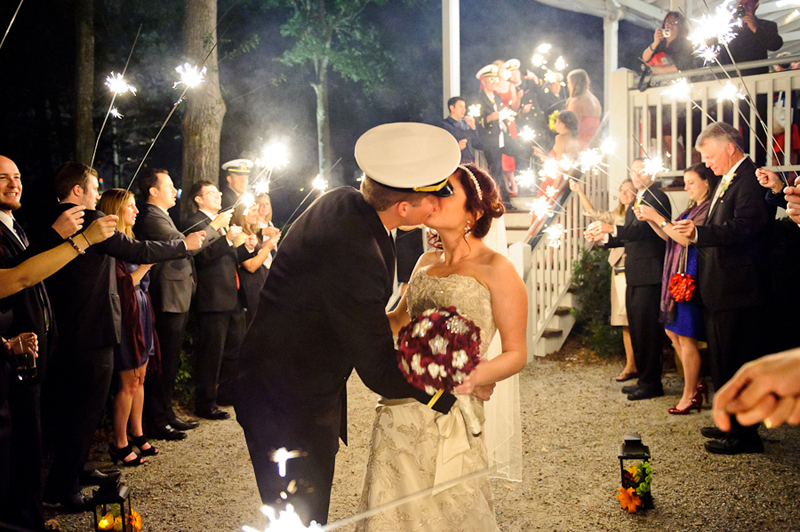 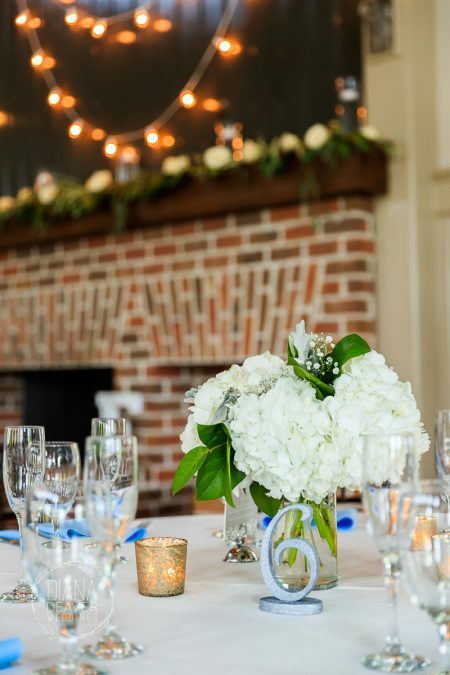 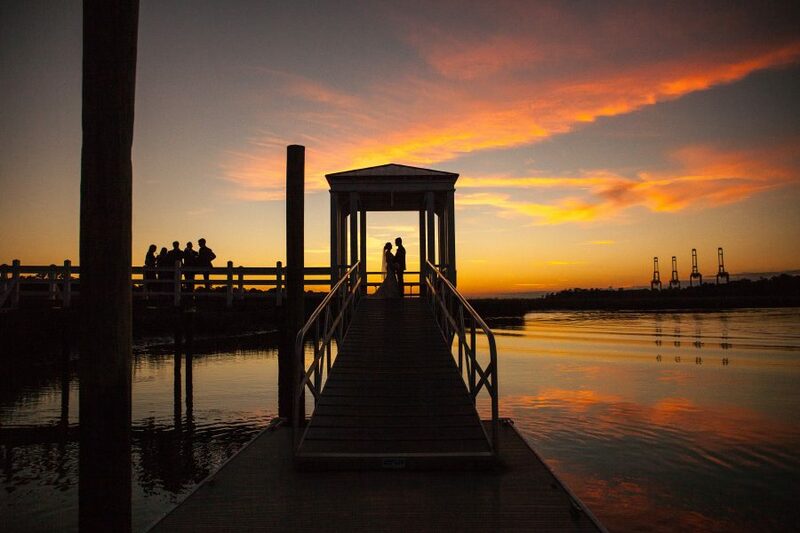 We are pleased that the club allows sparklers and of course we are charmed anytime our couples choose to depart by boat, an option not a lot of Charleston venues will have. 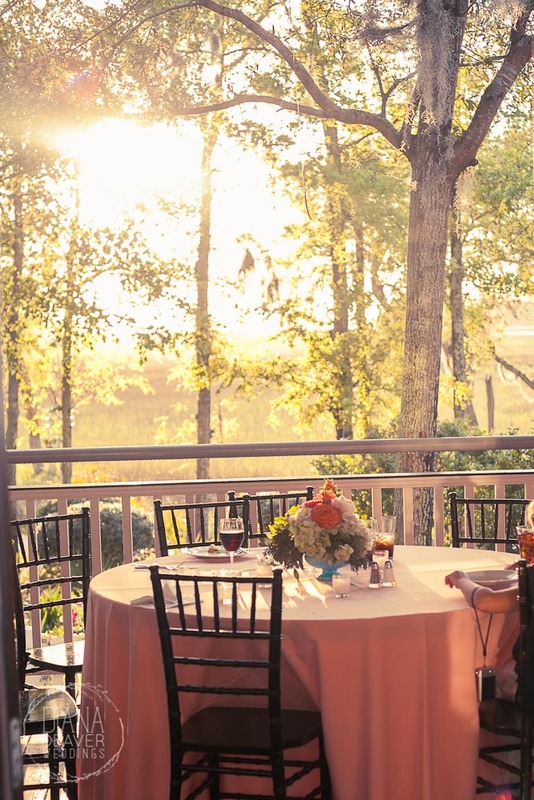 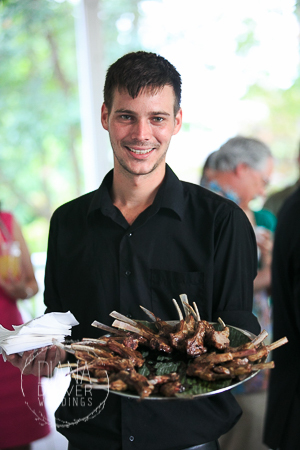 The staff and catering at the Creek Club at I’ON has always been impeccable, sometimes to a fault. 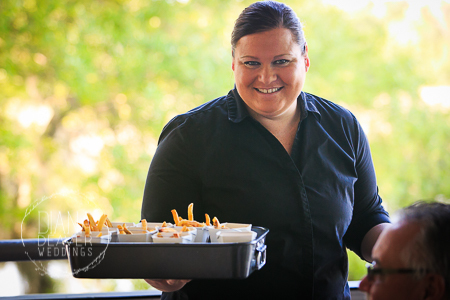 They are attentive, welcoming and have a smile on the whole time. 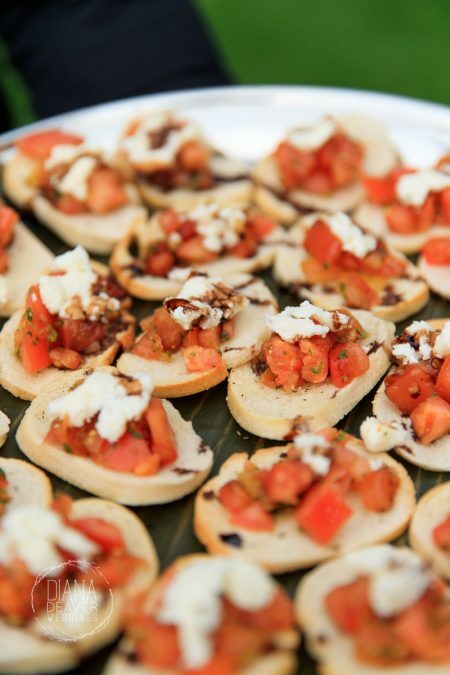 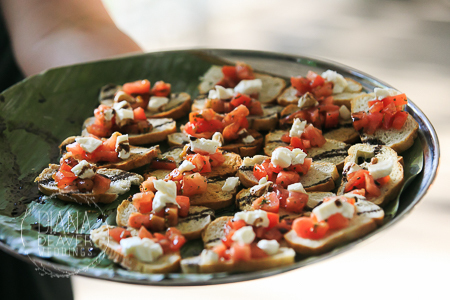 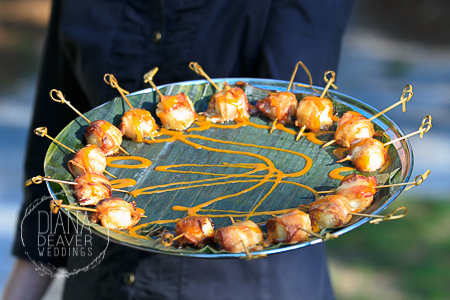 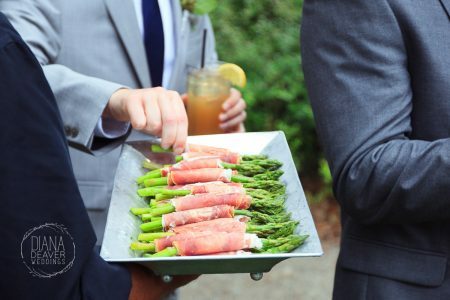 We have enjoyed our meals every time we have photographed a wedding there. 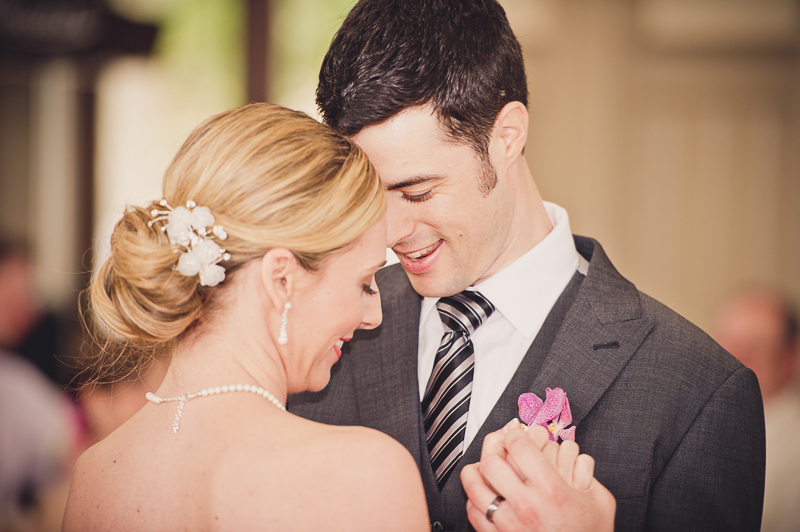 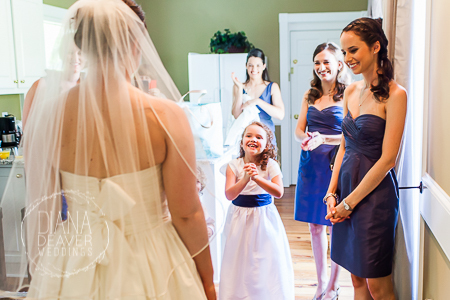 Please visit The Knot and The Wedding Row to see features of weddings we have photographed at ION Creek Club. 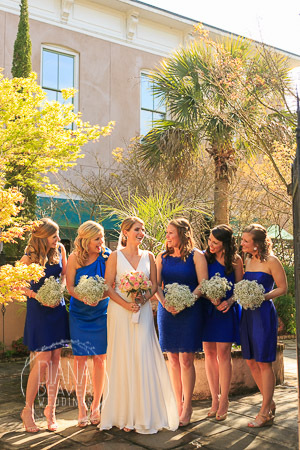 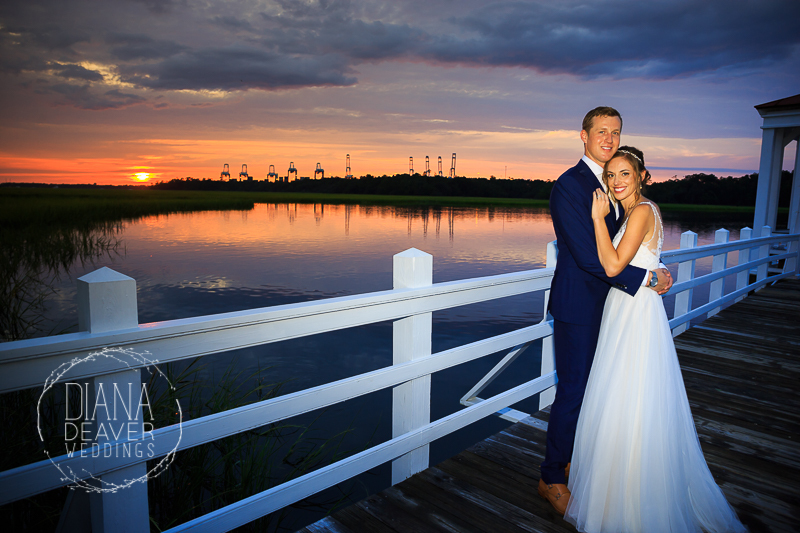 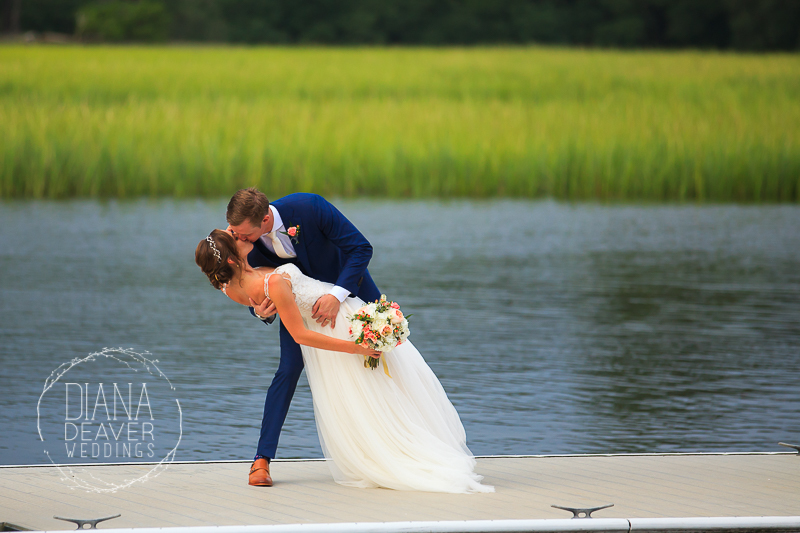 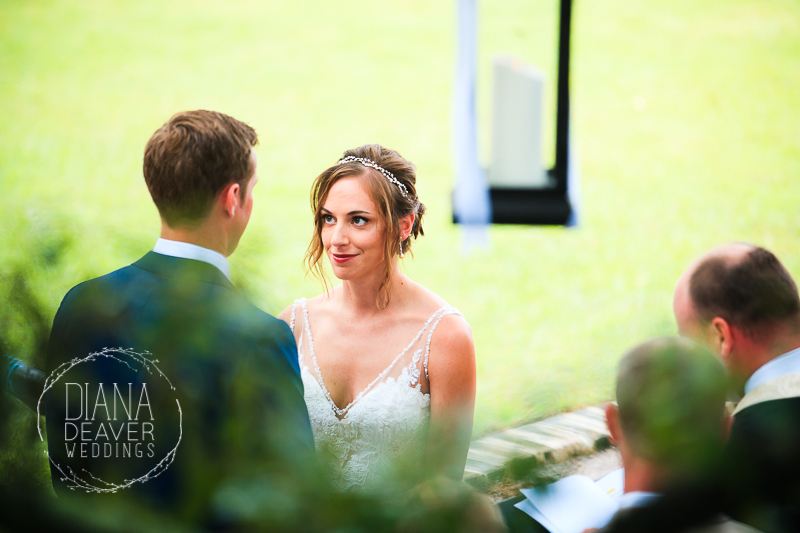 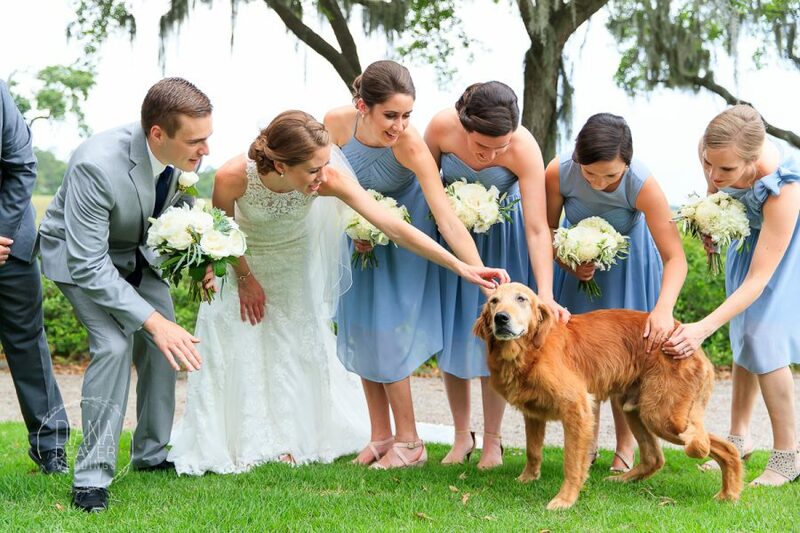 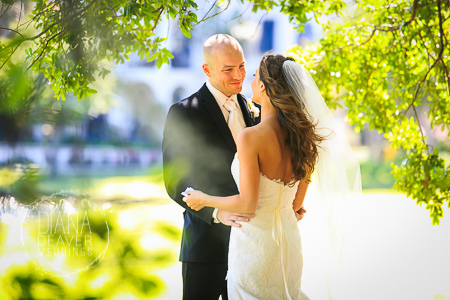 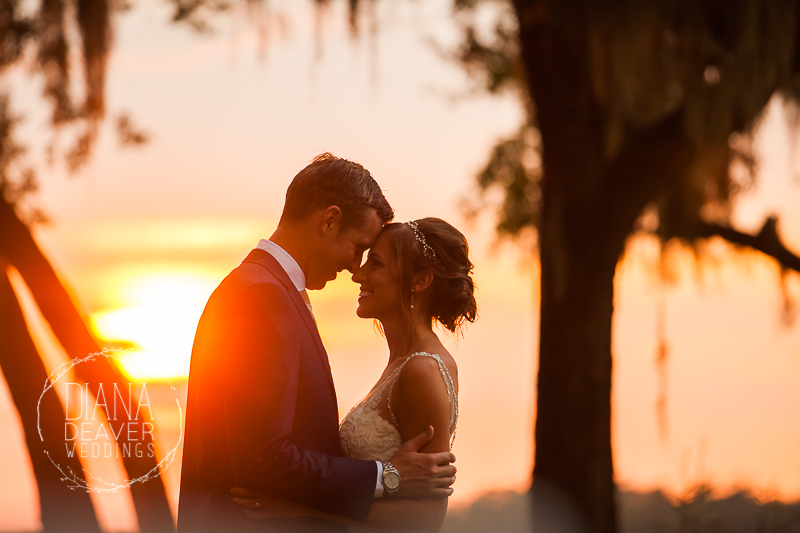 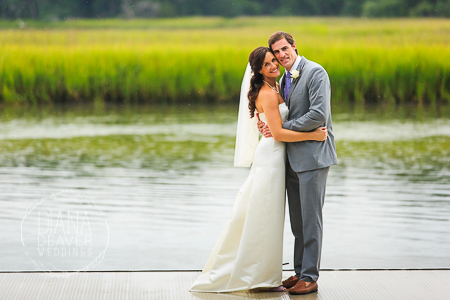 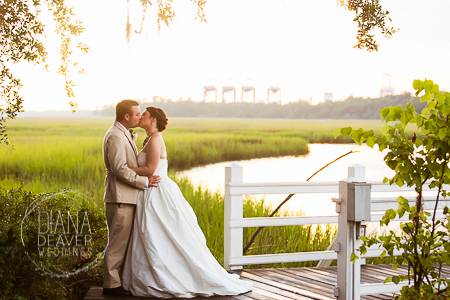 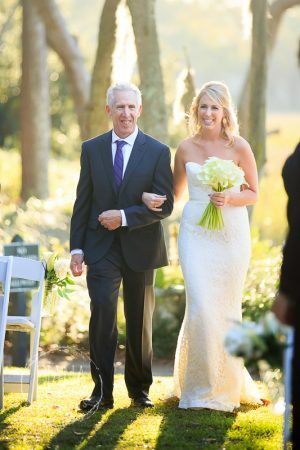 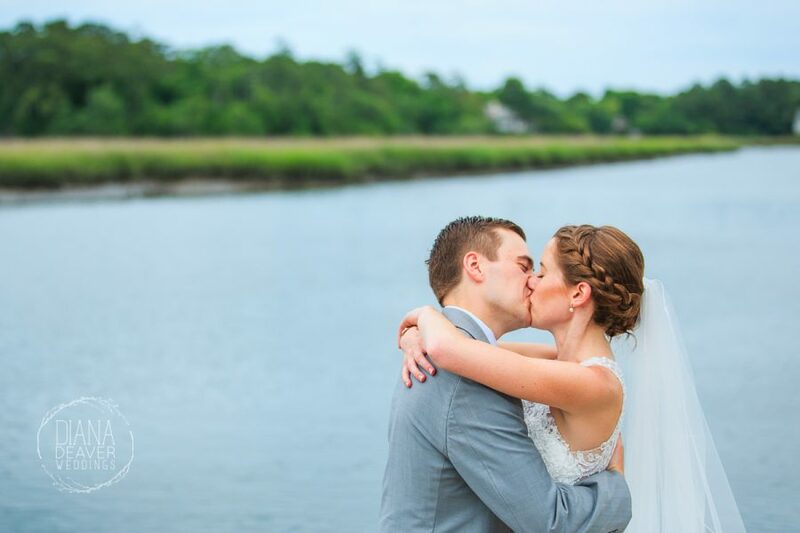 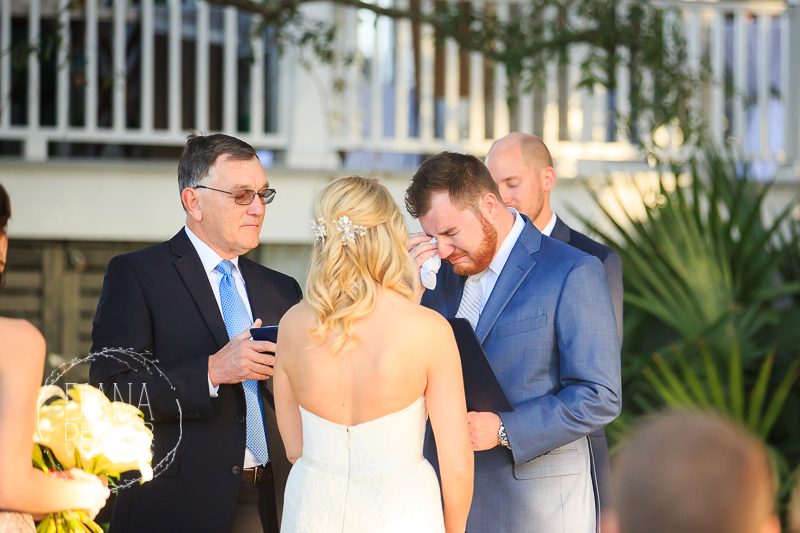 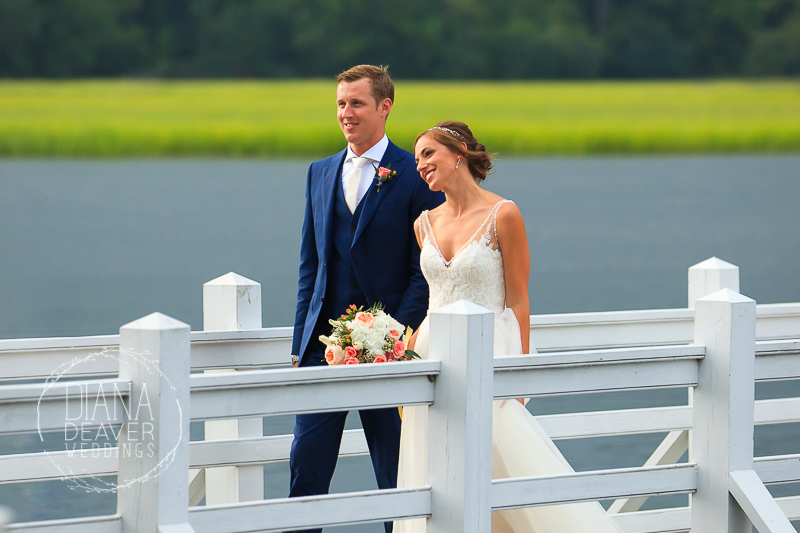 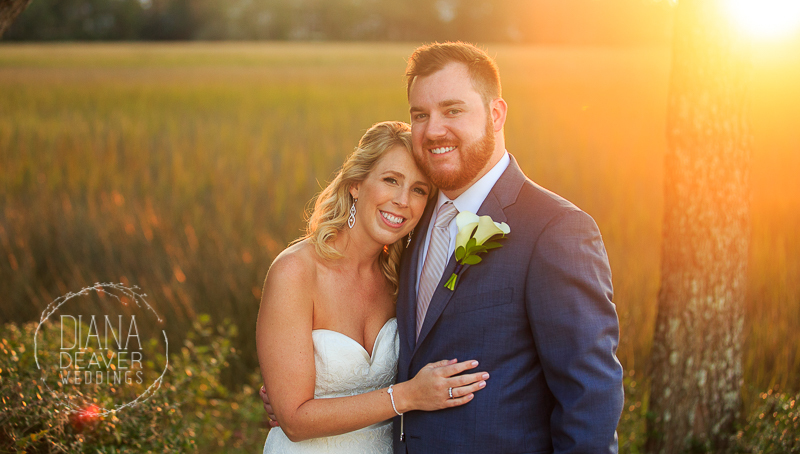 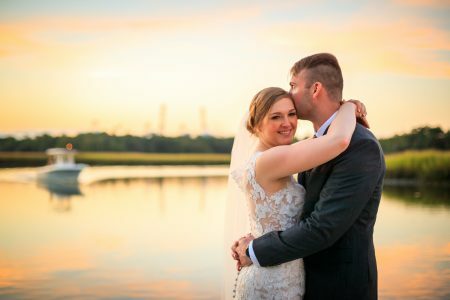 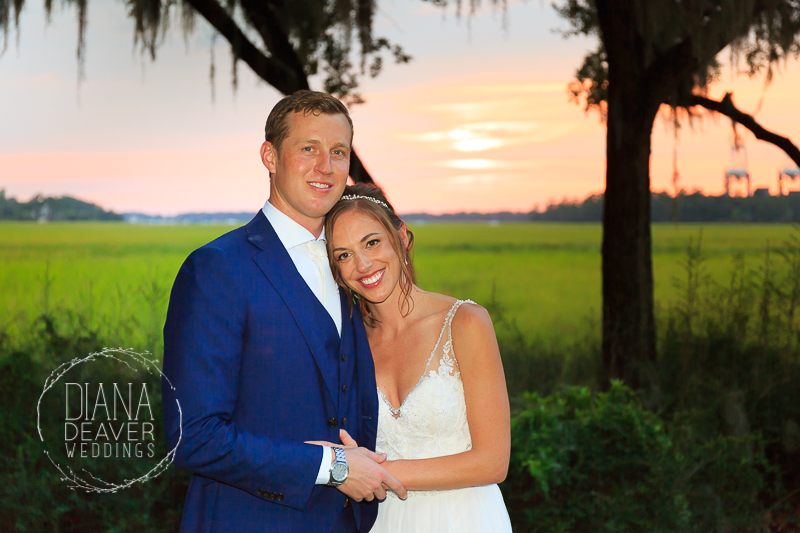 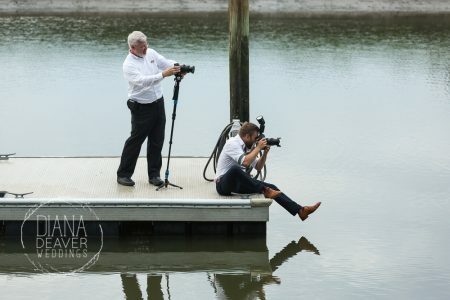 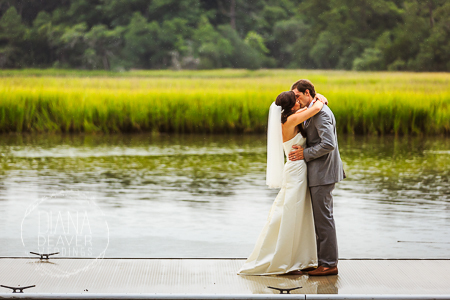 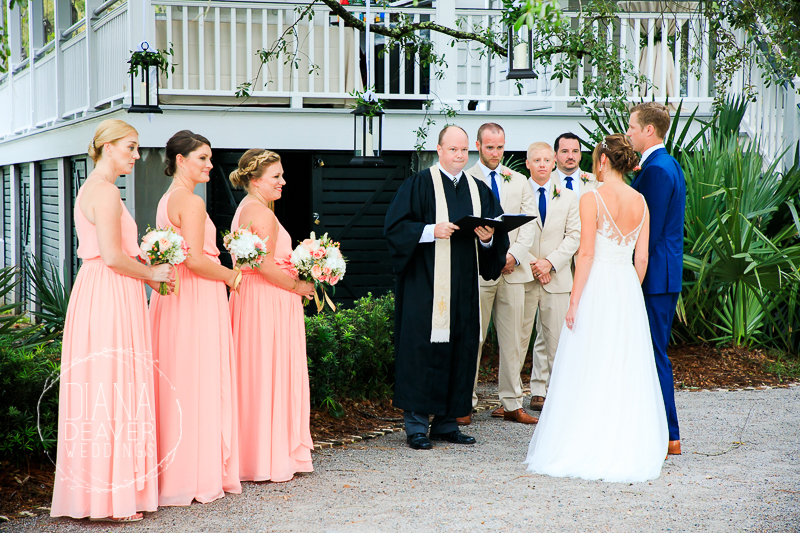 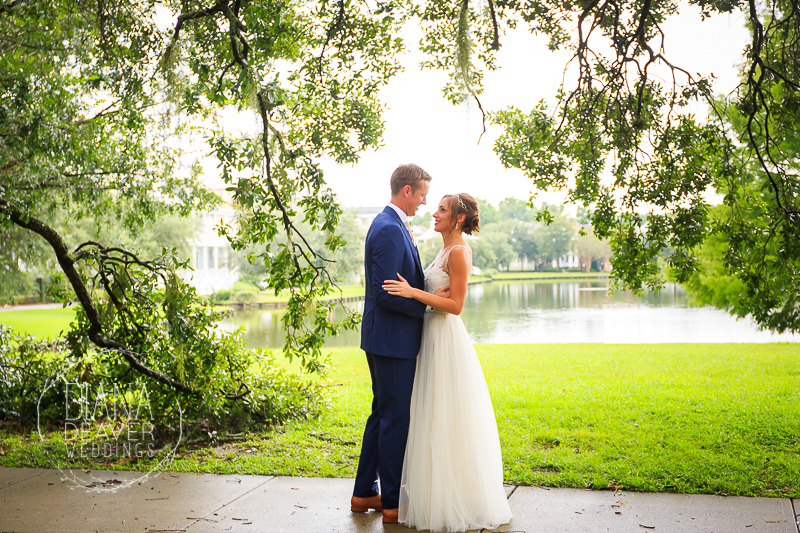 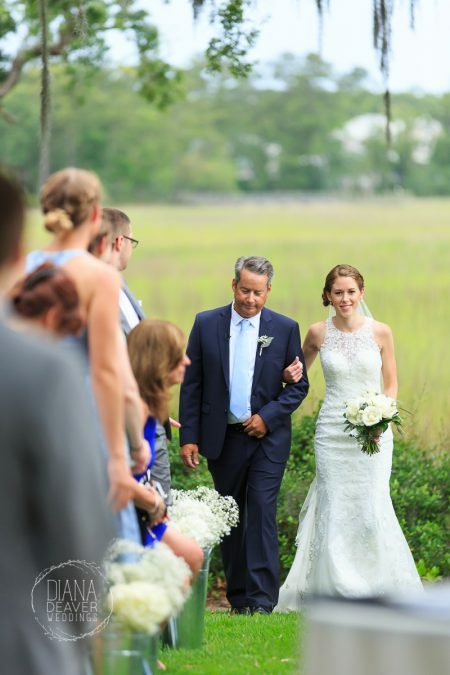 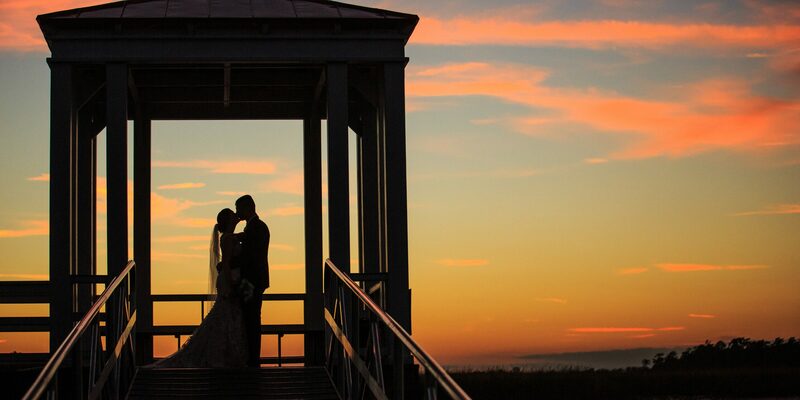 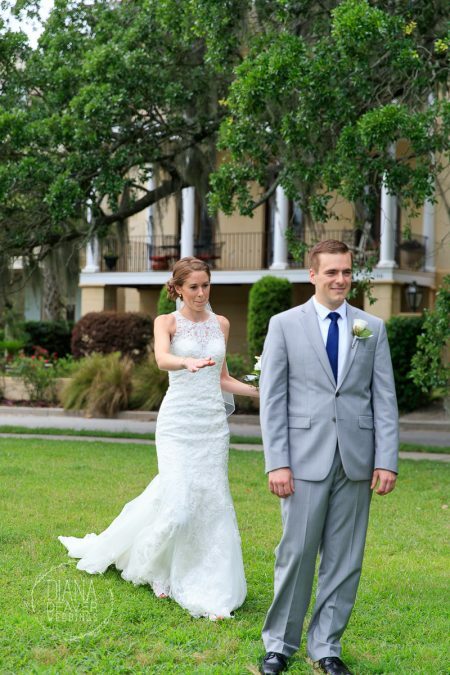 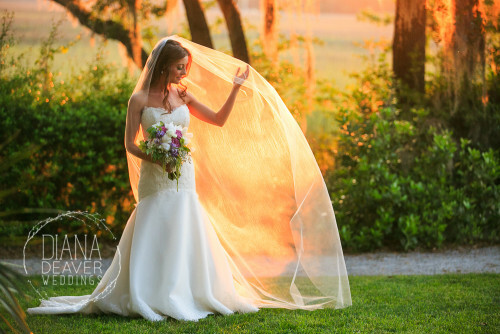 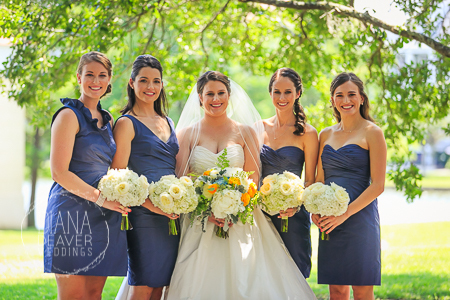 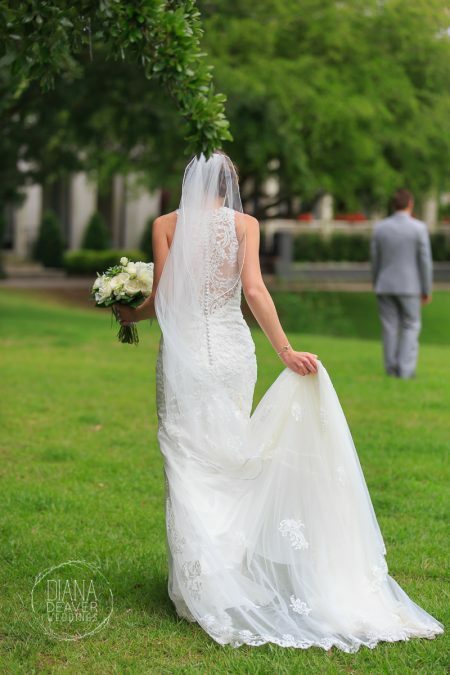 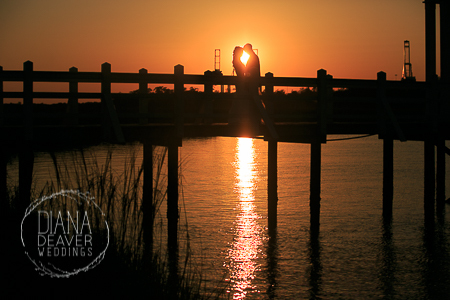 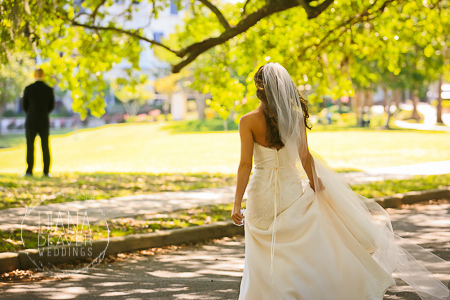 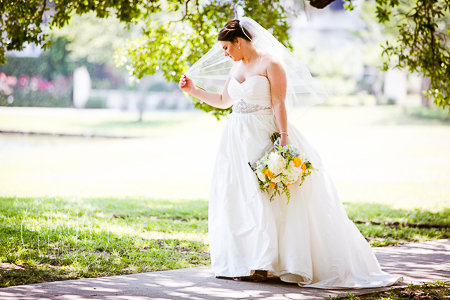 As a wedding photographer in Charleston SC it is my job to be familiar with each wedding venue and to know how to best take advantage of it’s highlights and strengths. 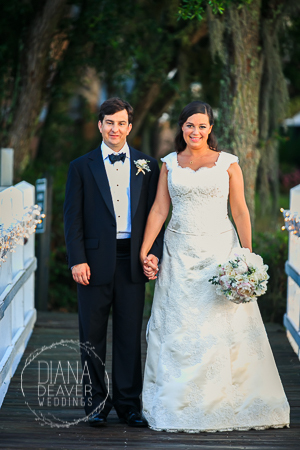 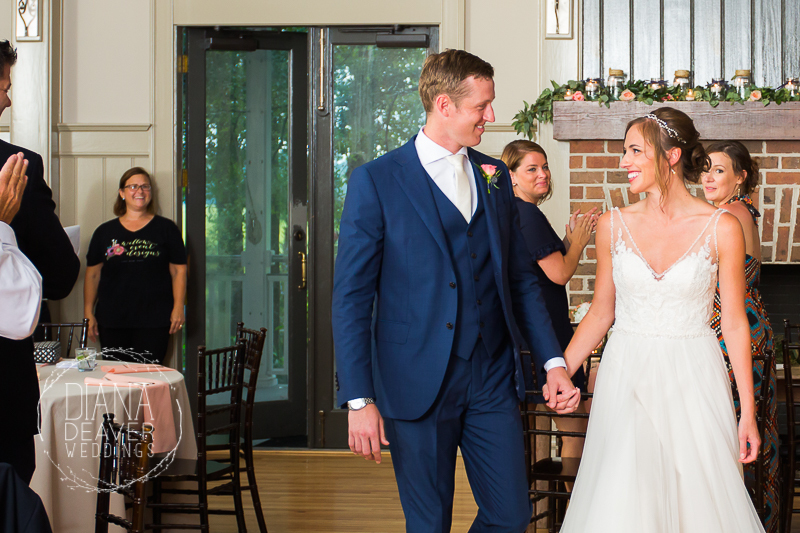 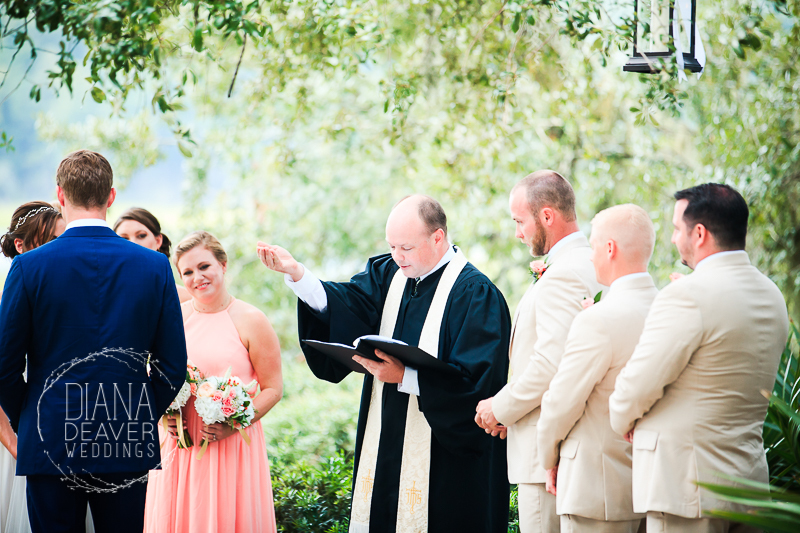 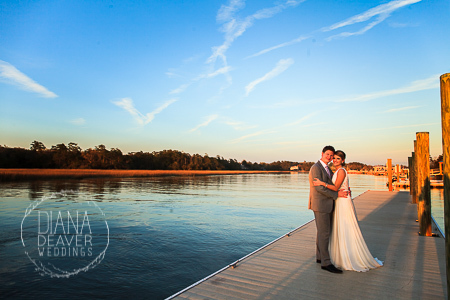 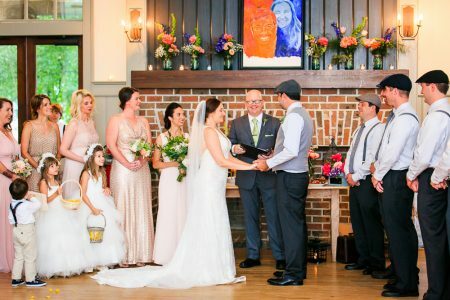 If you’re getting married at the Creek Club at I’ON I hope you will consider hiring Diana Deaver Weddings for your wedding photography and rely on our expertise and experience with this venue for your wedding photos. 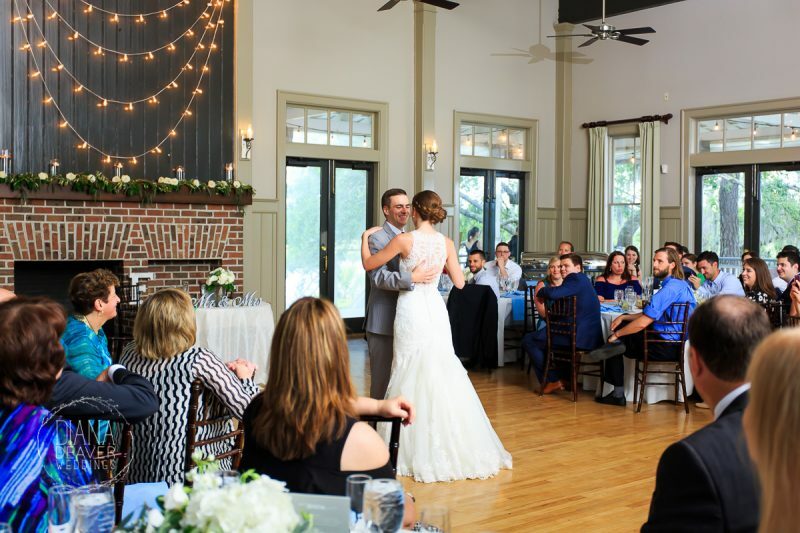 The wedding venue review above is an independent photographic review based on our personal experience as hired photographers. 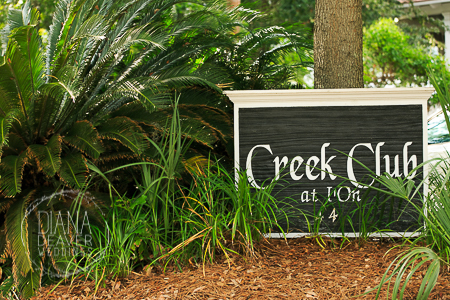 Please visit the Creek Club at I’ON web page to get more information.